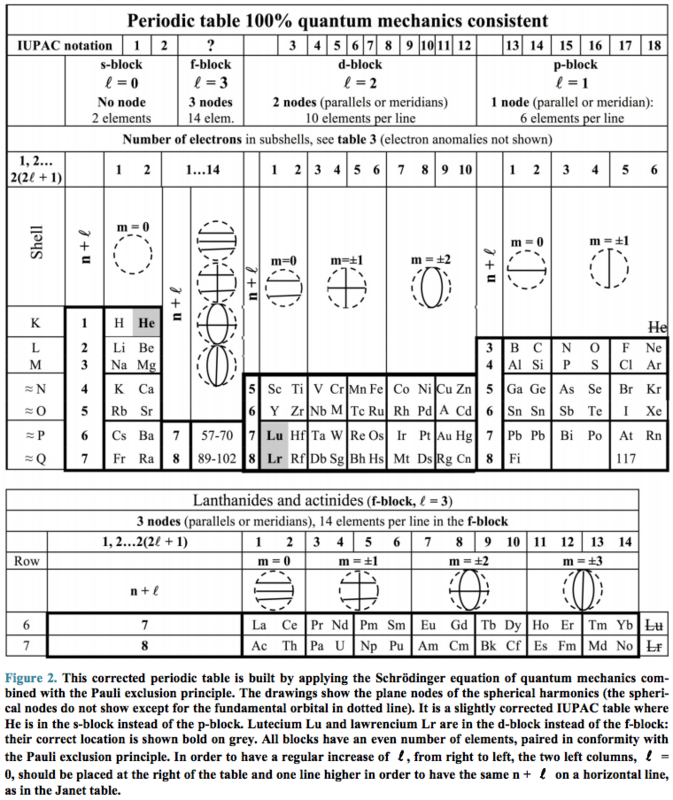 2009 Download Excel, Word & PDF Periodic Tables for Printing, etc. 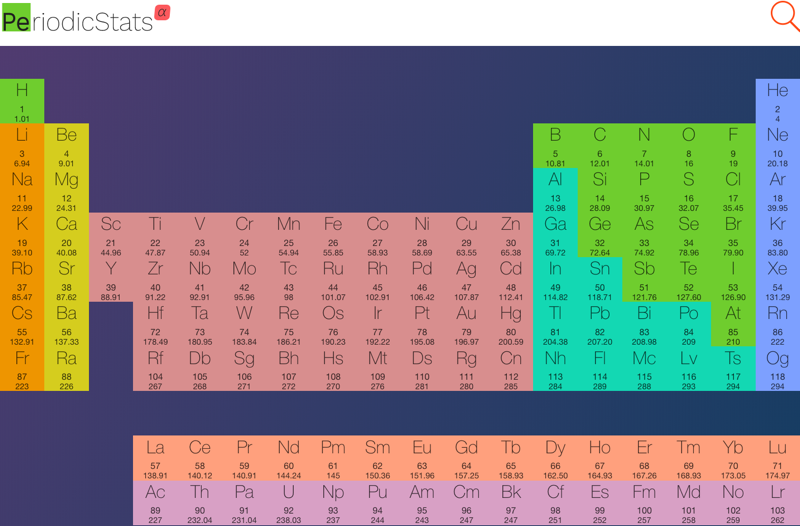 Theodore Gray's Periodic Table.Com is a live version of what is generally regarded as the most beautiful periodic table to be developed so far. It is a treasure trove of pictures, videos and stories. Explore! Theo is an enthusiast and a collector, and he uses the power of Mathematica (he is a co-founder of Wolfram Research) to drive his astonishing website. 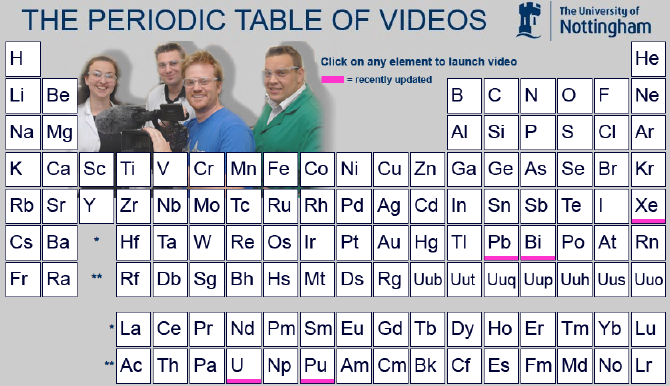 It is Theo's aim to be the number one periodic table resource on the web. Personally, I find Theo's website and approach to be complementary to the more academic WebElements. 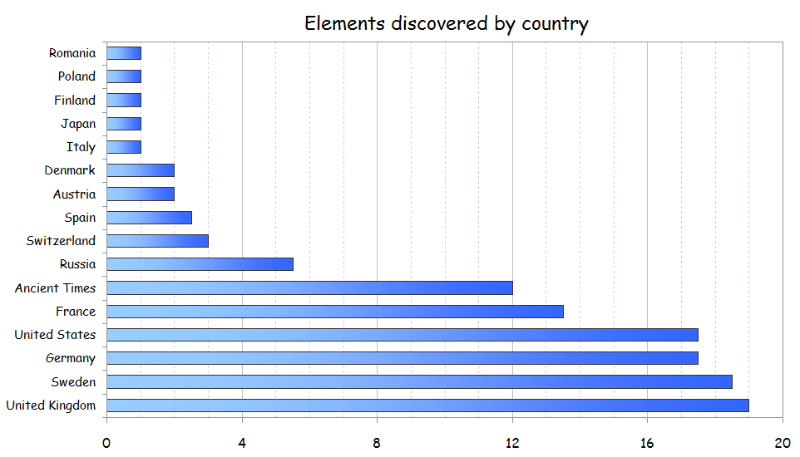 The number of known elements does change. 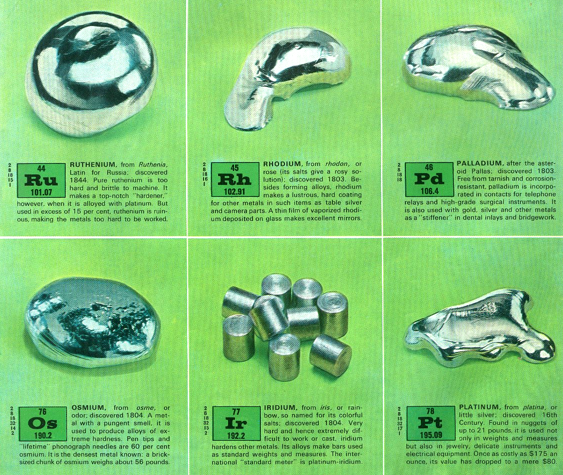 There are 94 naturally occuring elements, from hydrogen to plutonium. Together they make up everything in the world. 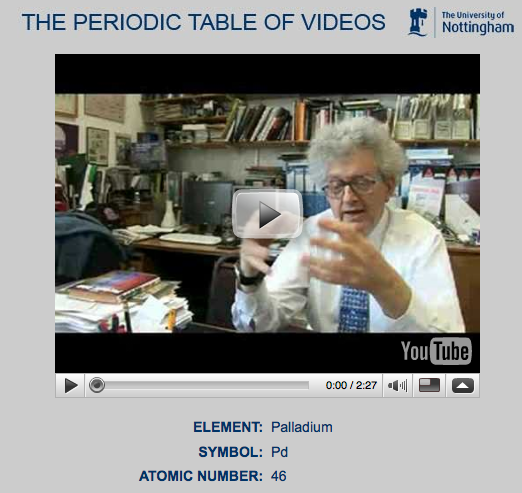 94 Elements is a global filmmaking project, exploring our lives through the lens of the elements. Everything that surrounds us is made from these 94 building blocks, each with its own properties and personality. Our own bodies are mostly made from just 6 of them. The stories of the elements are the stories of our own lives. They reveal the patterns of our economies and the state of our relationships with our natural resources. The project is in part a celebration of the art of documentary film and some of the best filmmakers working today are making new films for the project. There'll also be opportunities for talented new and emerging filmmakers and animators to pitch their own films, with the winners chosen by you - the project community. 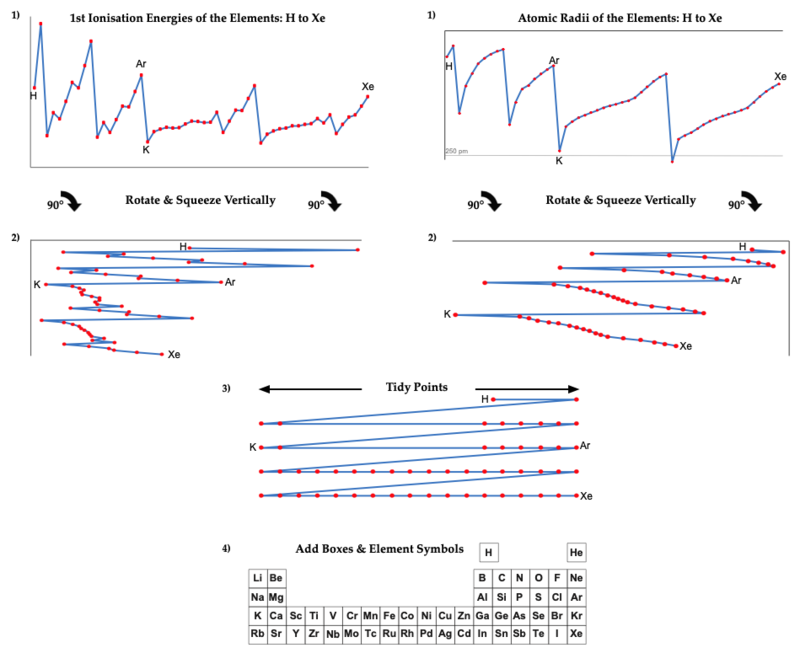 Acid-Base Behavior of 100 Element Oxides: Visual and Mathematical Representations by Mikhail Kurushkin and Dmitry Kurushkin. J. Chem. Educ. 95, 4, 678-681. 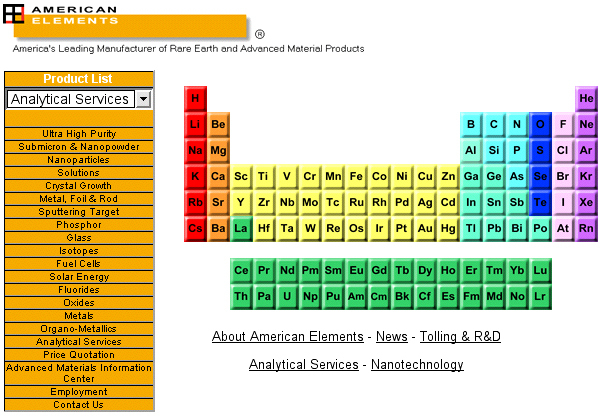 A periodic table front end to the American Mineralogist Crystal Structure Database. 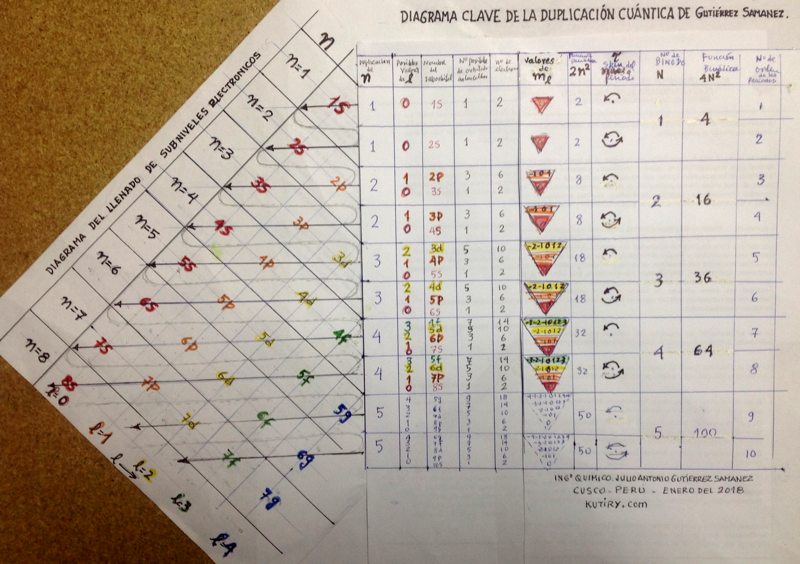 This PT gives information about storage and analysis of the elements. Read more in Eric's short article for the RSC. 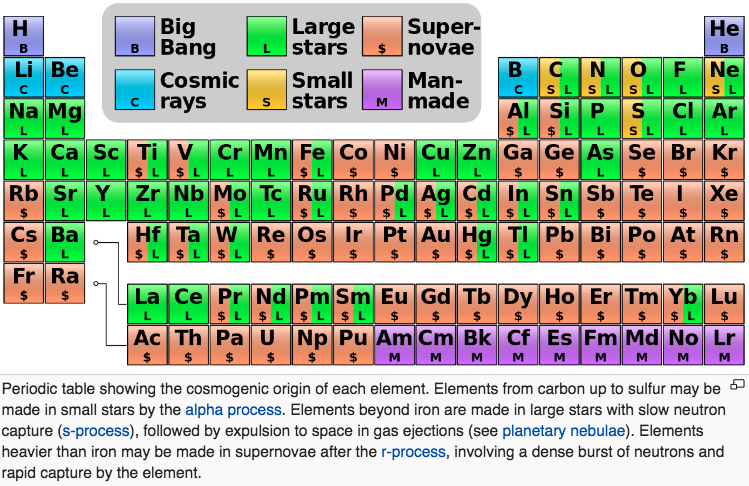 Yup, cosmologists and other professional star gazers consider all elements, atomic number three and up, to be metals. 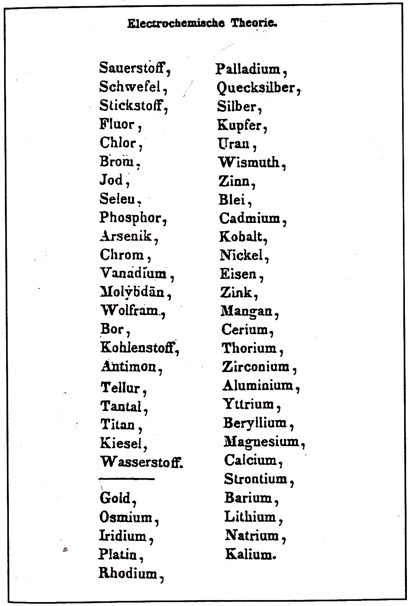 Berzelius' electronegativity table of 1836. 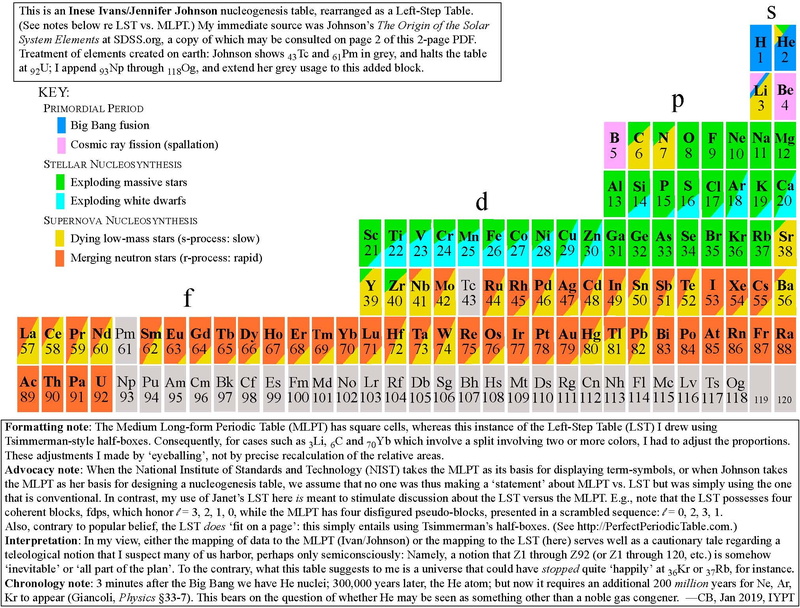 A periodic table showing where biologically essential (green), essential trace (purple), toxic (red), radioactive (yellow) and of low  but not zero biological impact (gray) elements are found. 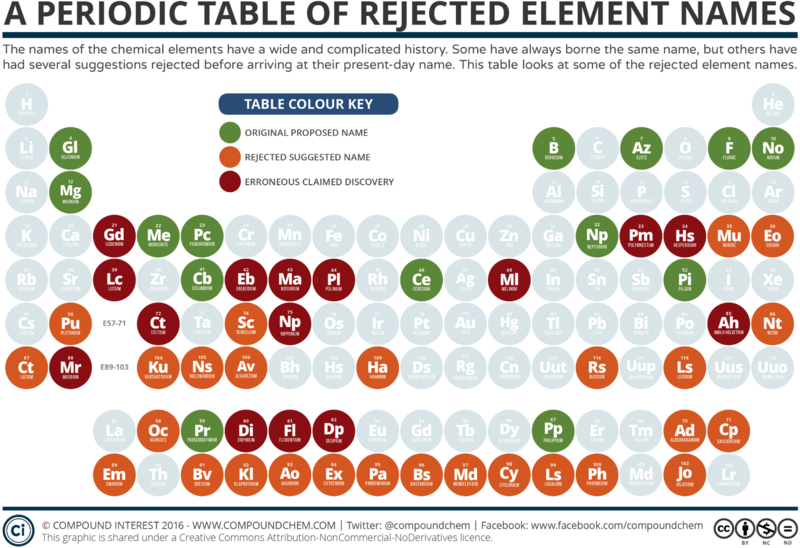 Only highly toxic elements are shown in red. Li (as Li+) is biologically active and is used as an antidepressant. 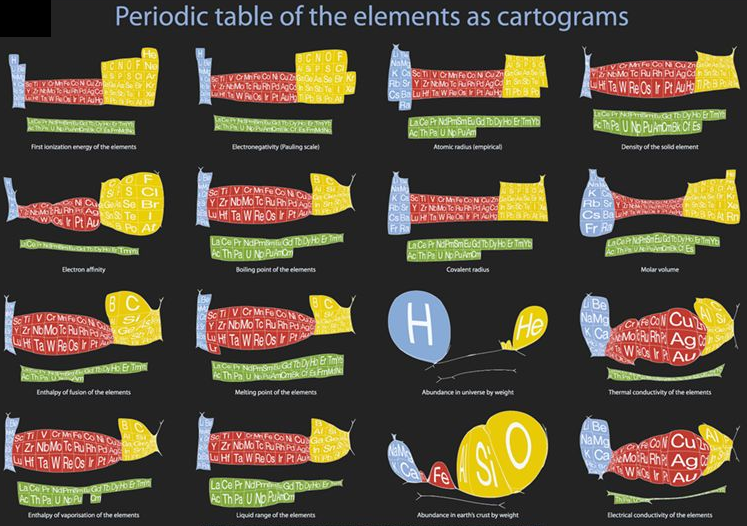 "Periodic table cartograms are periodic table grids distorted using a computer algorithm so that the areas of the element squares are in proportion to a periodic table property. 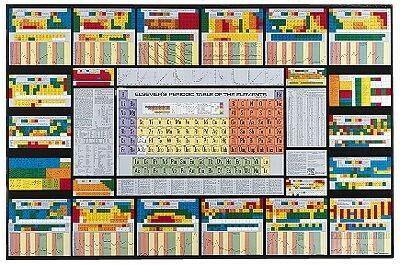 This is the first poster to show periodic properties plotted in this way". 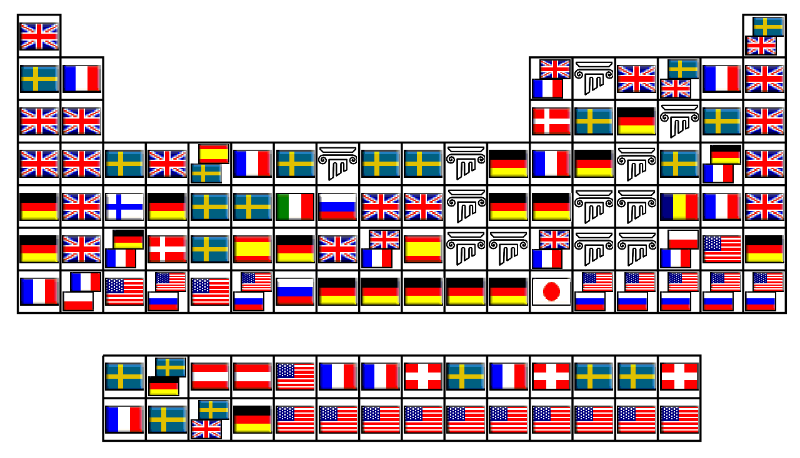 The Chem 13 News Periodic Table Project celebrates the International Year of Chemistry in 2011. 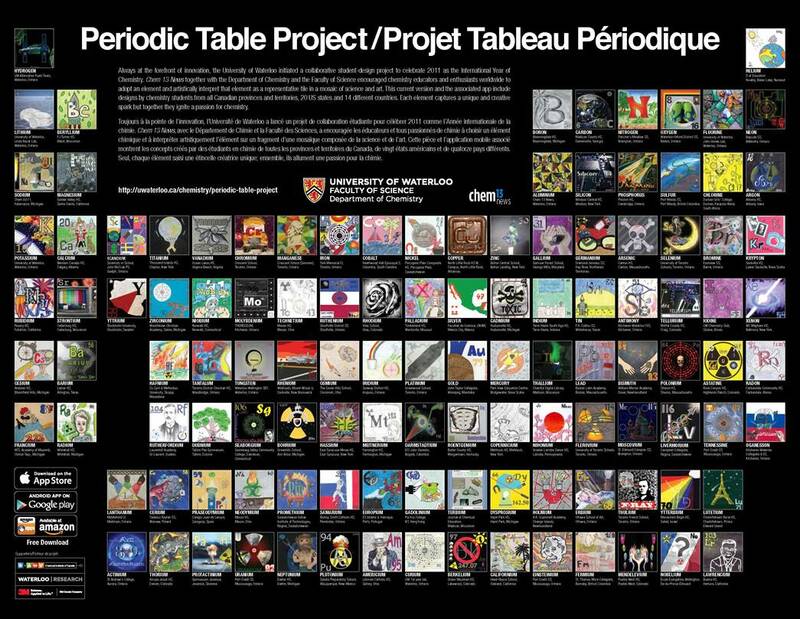 This collaborative periodic table is designed by chemistry students from all Canadian provinces and territories, 20 US states and 14 different countries. Chem 13 News readers registered their chemistry students to artistically interpret one element. 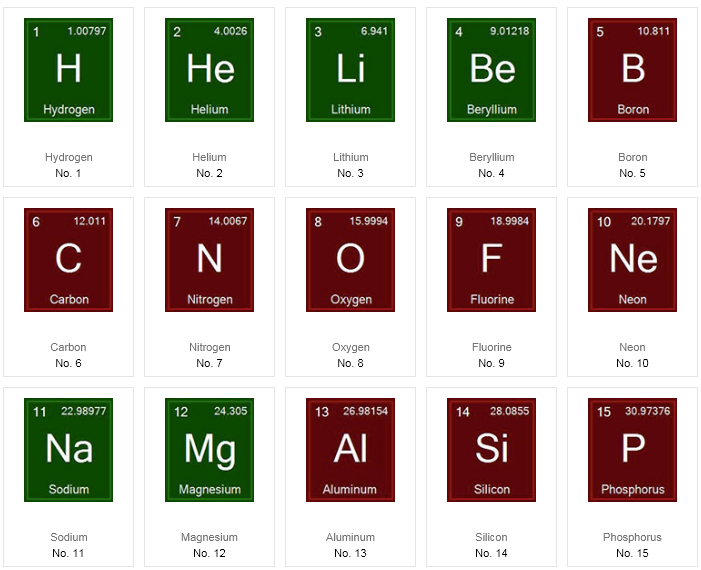 Combined these tiles form one innovative and unique periodic table. A poster of the table and a traveling display are currently being constructed. 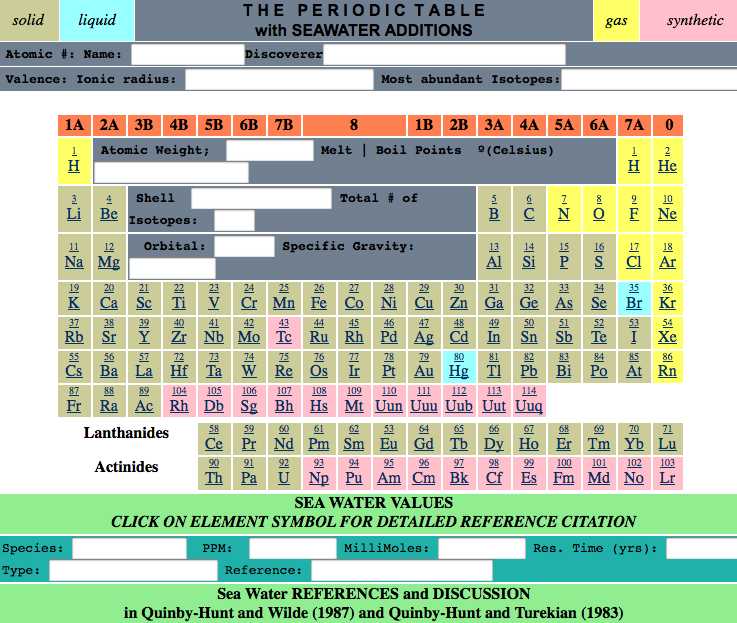 A periodic table front end to the Chemical Thesaurus Reaction Chemistry Database Periodic Table. 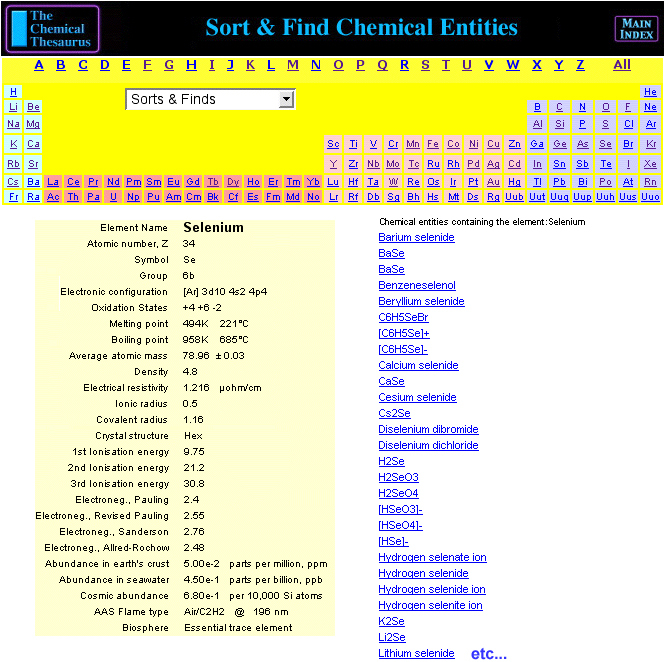 Clicking on an element gives access to database searches of chemical species and their interactions. 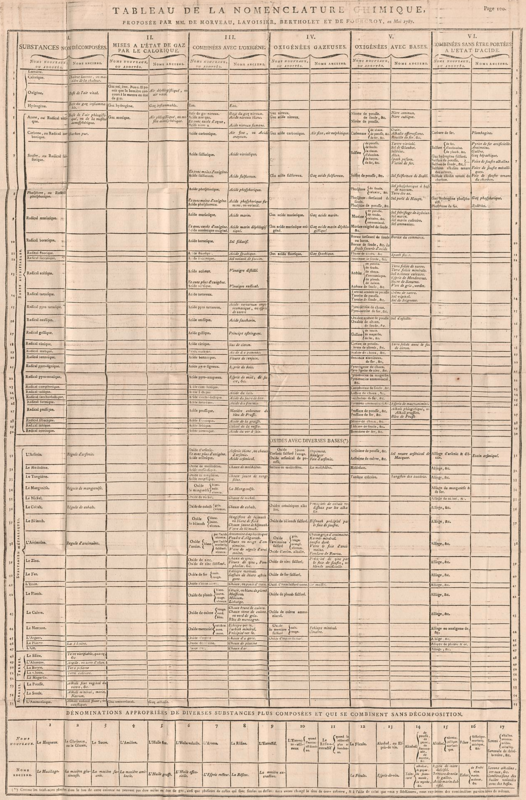 "The Chemical Thesaurus is a reaction chemistry information system that extends traditional references by providing hyperlinks between related information. The program goes a long way toward meeting its ambitious goal of creating a nonlinear reference for reaction information. 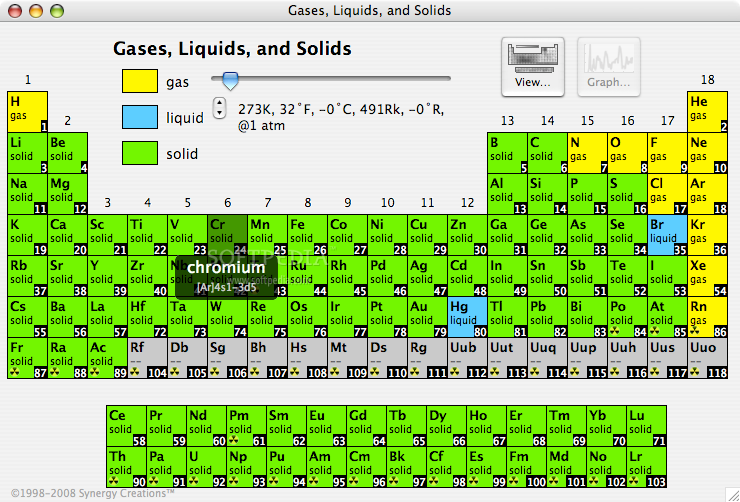 With its built-in connections, organizing themes, and multiple ways to sort and view data, The Chemical Thesaurus is much greater than the sum of the data in its database. "The program does an excellent job of removing the artificial barriers between different subdisciplinary areas of chemistry by presenting a unified vision of inorganic and organic reaction chemistry." 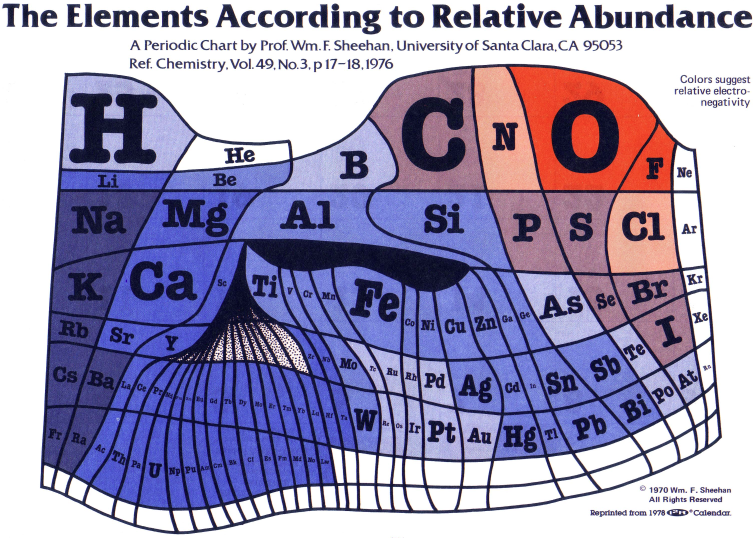 "We have developed a visual periodic table that groups by orbitals, making He no longer contentious. But by including an orbital cloud, we give the student a great offset to the Bohr model used to place each and every single electron in the periodic table." 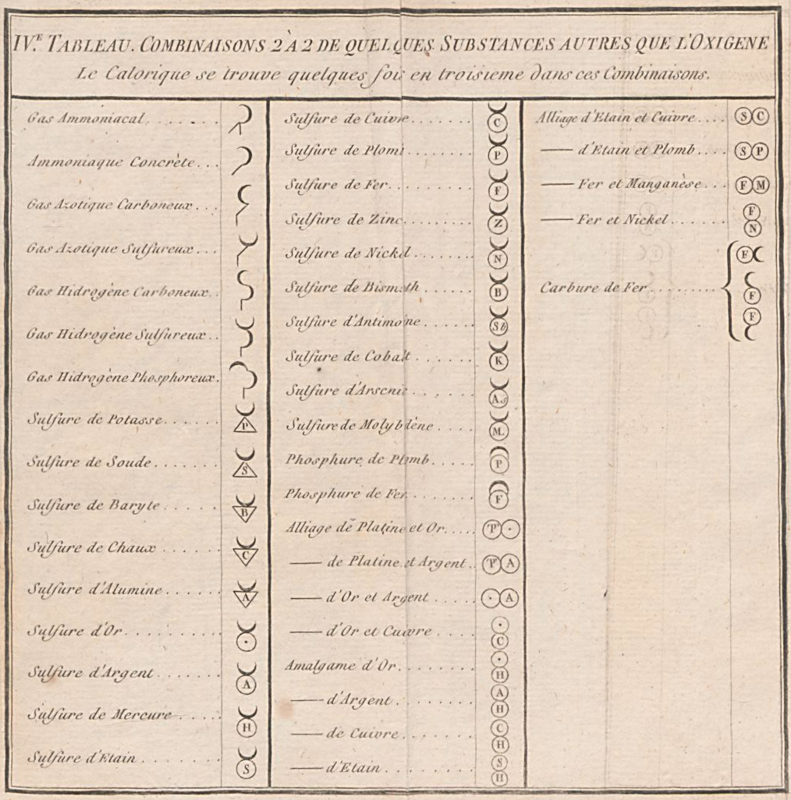 Twelve elements were known from the Ancient Times, and were described by Romans and Greeks. 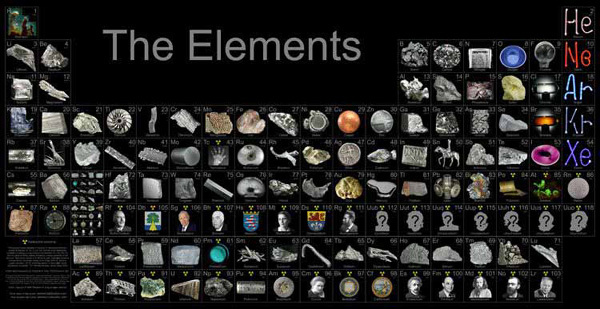 The remaining 106 elements have been discovered by scientists of 15 different countries during the last 4 centuries. 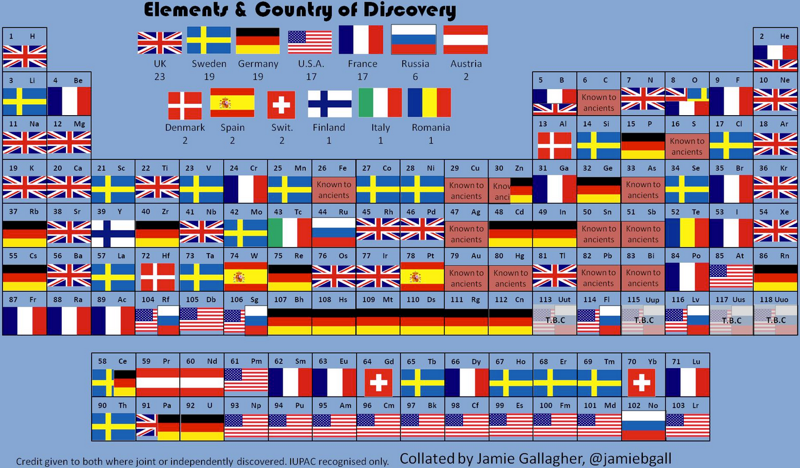 In addition, 19 elements of those 106 (18%) have been co-discovered by researchers of two countries. 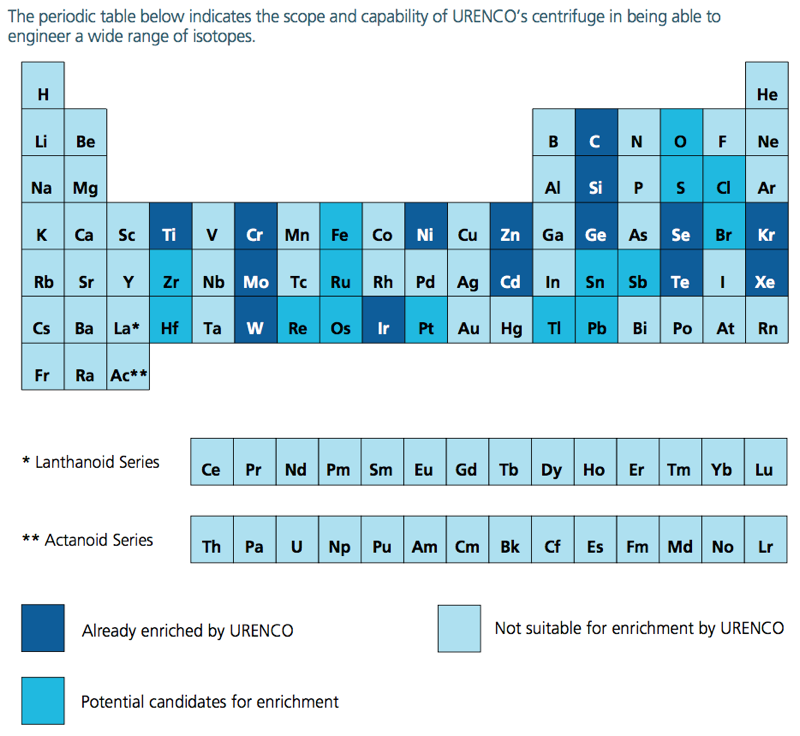 Although some of them (like Bromine or Thallium) were isolated separately at the same time by chemists of different nationalities within the race to discover new elements in 18th-21st centuries, most of them have been obtained since then through collaborative research, like the recently discovered Ununpentium, Ununseptium and Ununoctium. Another example is the isolation of Radium and Polonium by the Polish Maria Skłodowska-Curie and her French husband, Pierre Curie. 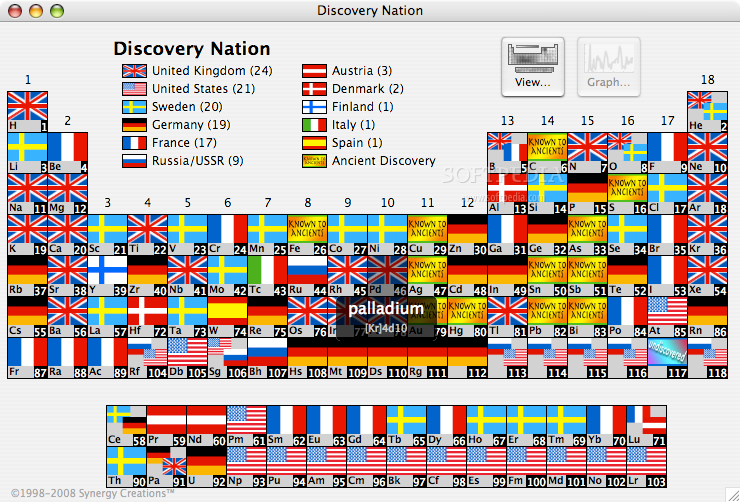 Thus, Periodic Table is the result of a collective and long-term work of hundreds of scientists. It is noteworthy to see that Russia and United States have discovered mainly artificial elements. Documented variations in the isotopic compositions of some chemical elements are responsible for expanded uncertainties in the standard atomic weights published by the Commission on Atomic Weights and Isotopic Abundances of the International Union of Pure and Applied Chemistry. 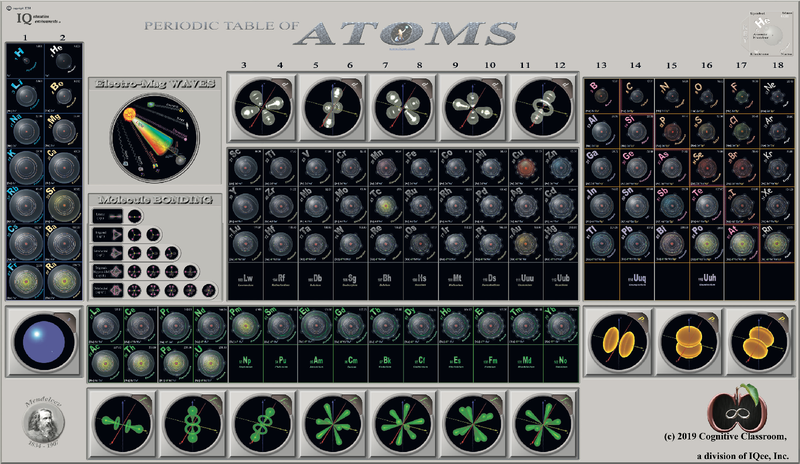 This report summarizes reported variations in the isotopic compositions of 20 elements that are due to physical and chemical fractionation processes (not due to radioactive decay) and their effects on the standard atomic weight uncertainties. 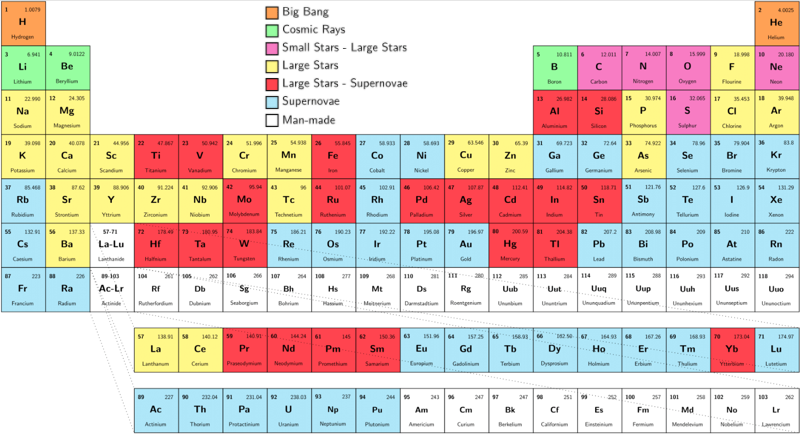 For 11 of those elements (hydrogen, lithium, boron, carbon, nitrogen, oxygen, silicon, sulfur, chlorine, copper, and selenium), standard atomic weight uncertainties have been assigned values that are substantially larger than analytical uncertainties because of common isotope abundance variations in materials of natural terrestrial origin. 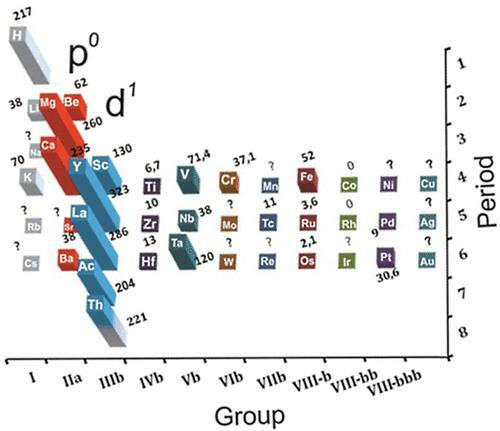 For 2 elements (chromium and thallium), recently reported isotope abundance variations potentially are large enough to result in future expansion of their atomic weight uncertainties. 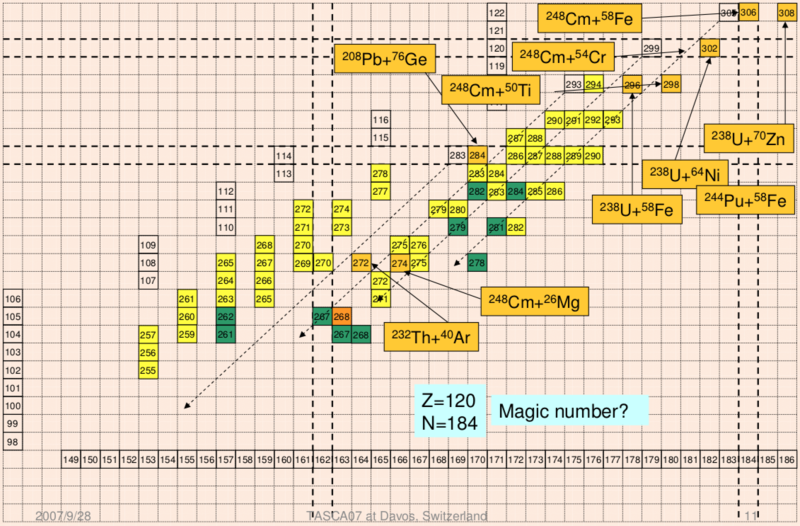 For 7 elements (magnesium, calcium, iron, zinc, molybdenum, palladium, and tellurium), documented isotope-abundance variations in materials of natural terrestrial origin are too small to have a significant effect on their standard atomic weight uncertainties. 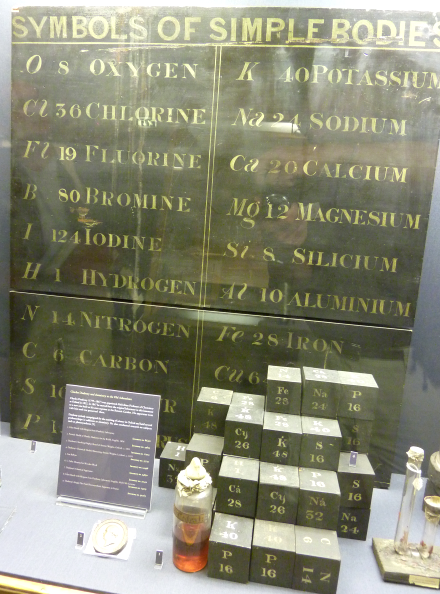 Note the seemingly huge errors in the atomic weights, compared with modern values. 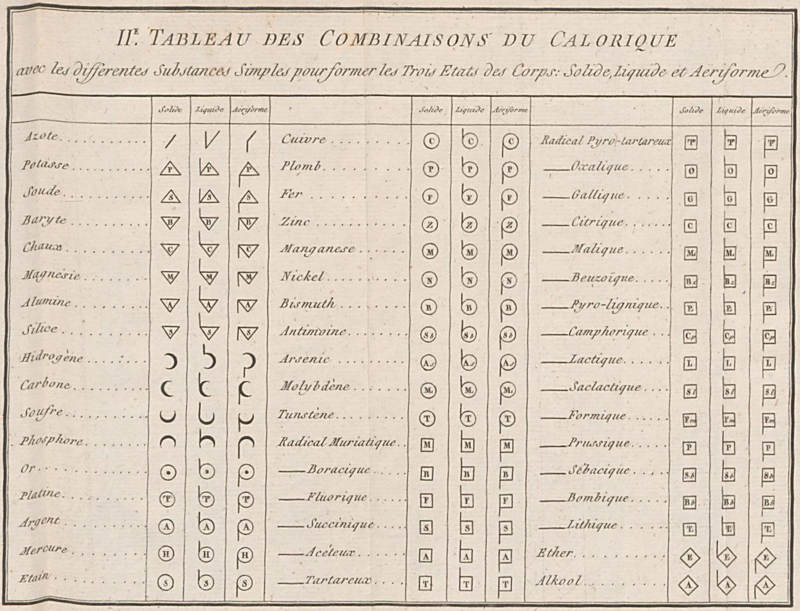 These errors occured because while Dalton had deduced that atoms combine in fixed (stoichiometric) ratios in compounds, he not always know what the ratios were. 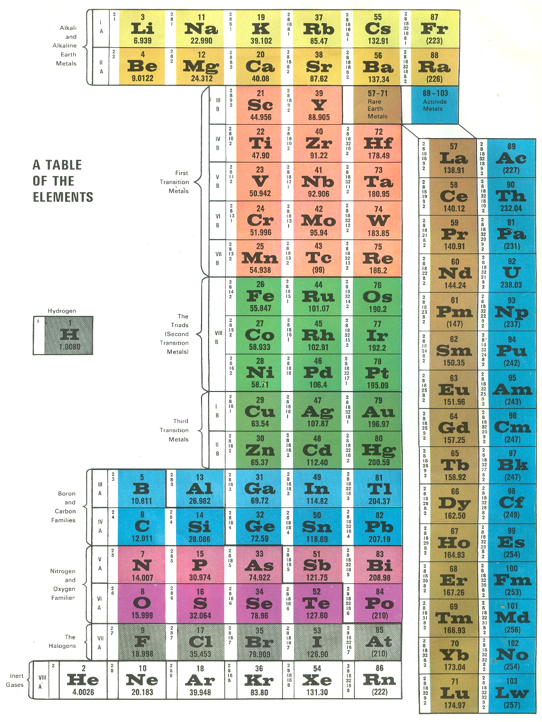 Thus there were two unknowns: the atomic weights (masses) and the stoichiometric ratios. 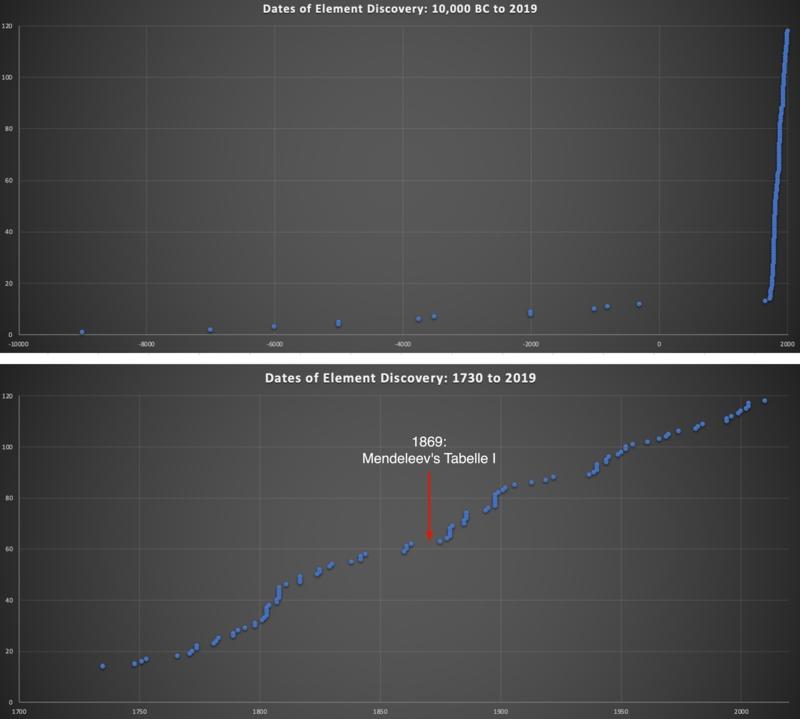 Two charts showing the dates of discovery of the elements, one from the 'time of the ancients' (10,000 BC) to the present day, and the second from 1700 to the present day. 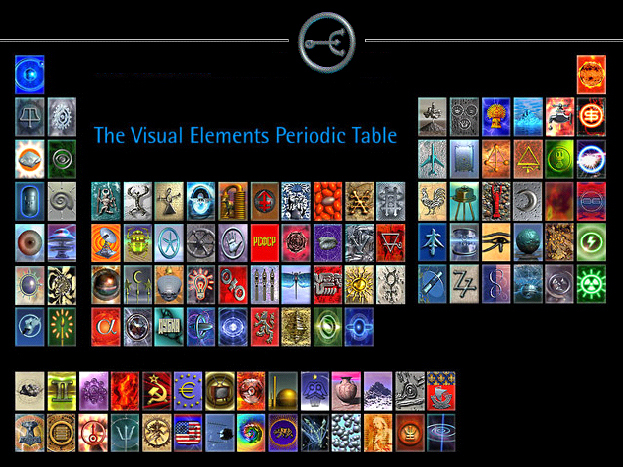 The first from about 10,000 BC to 1000 AD when 12 elements were discovered/used; one every 900 years or so. From 1669 until the present day when the other 106 have been rather steadily (and formally) discovered; one every couple of years. 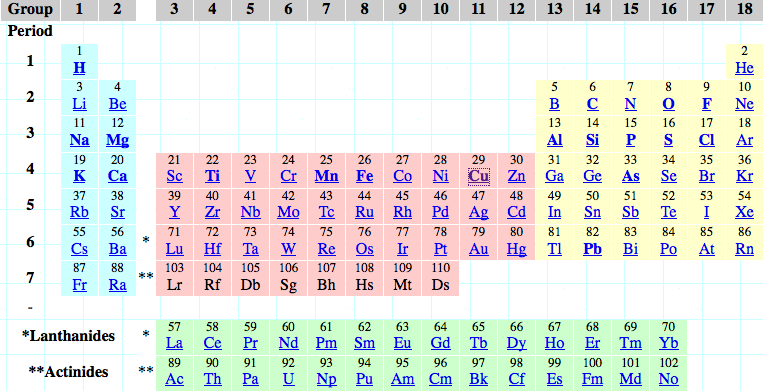 The last element to be made/discovered was in 2010. Data from: this Wikipedia page. 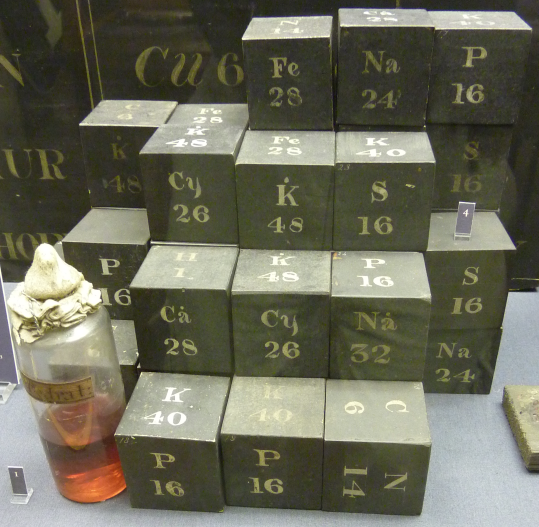 The Museum of the History of Science, Oxford, has a display of Charles Daubeny's teaching materials from 1831, including a black painted wooden board with "SYMBOLS OF SIMPLE BODIES": symbols, atomic weights and names of elements in two columns, and a small pile of cubes with element symbol. Note that some of the numbers seem very strange to our eyes: carbon is given as 6 (rather than 12) and oxygen 8 (not 16), while others correspond with modern values remarkably well, chlorine is given as 36 rather than 35.5. Check out the virtual tour of the museum, here. The display of Daubeny's teaching materials can be found in the basement, here. 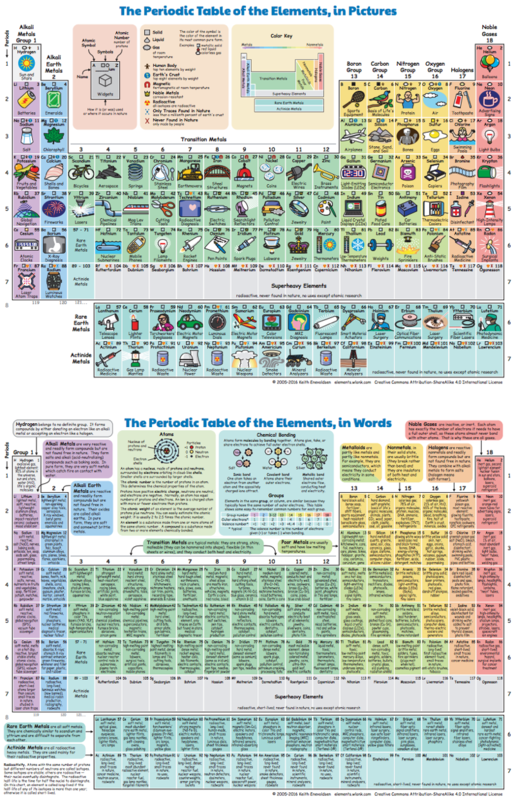 Download Excel, Word & PDF Periodic Tables for Printing, etc. 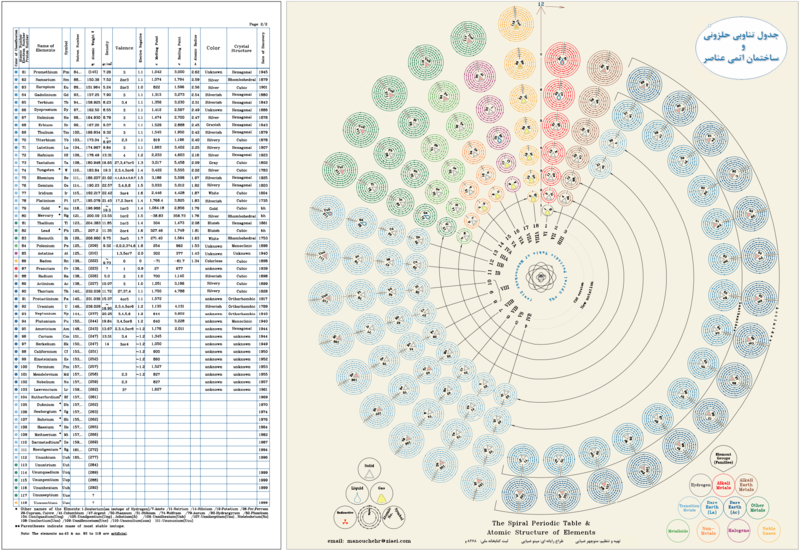 Michael Dayah's Dynamic Periodic Table, in development since 1997, is a traditional data presentation periodic table with a beautiful, flexible & fast user interface. 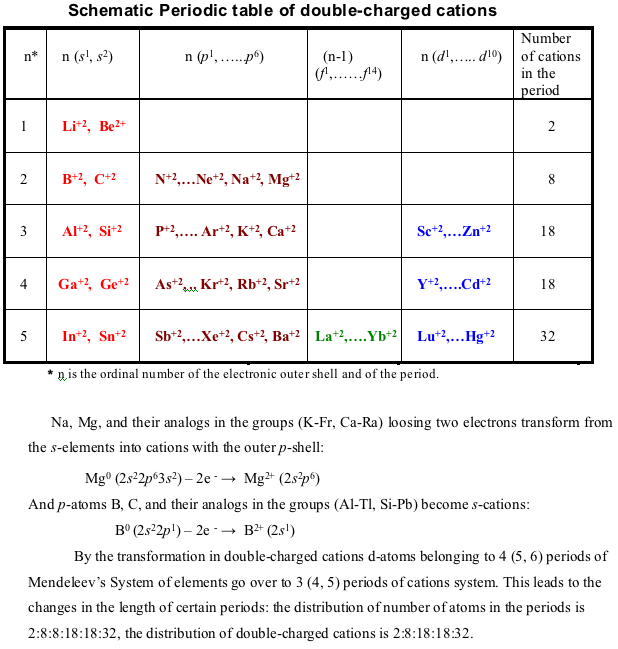 From Mark R Leach's paper, Concerning electronegativity as a basic elemental property and why the periodic table is usually represented in its medium form, Journal & PDF. 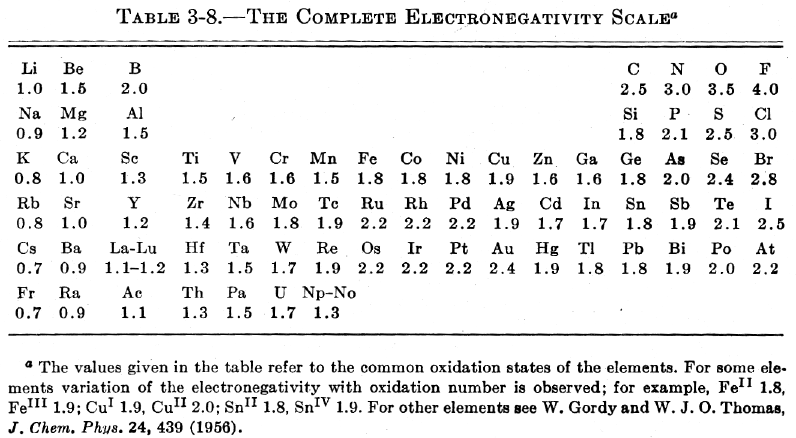 Due to the importance of Pauling's electronegativity scale, as published in The Nature of The Chemical Bond (1960), where electronegativity ranges from Cs 0.7 to F 4.0, all the other electronegativity scales are routinely normalised with respect to Pauling's range. 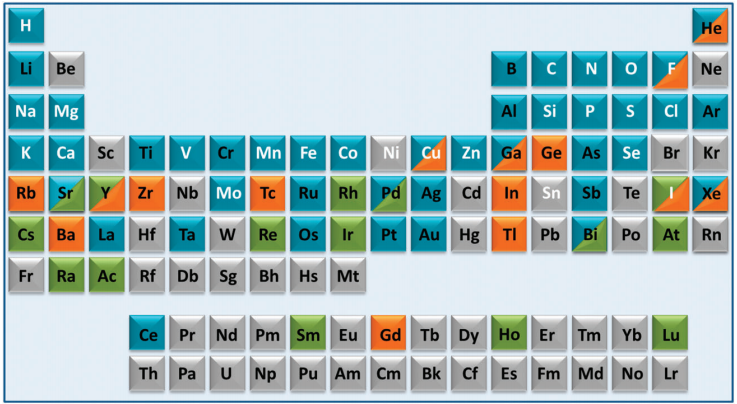 It is possible to buy sets of elements presented as a periodic table from RGB Research Ltd.
All of the the main group elements are common laboratory reagents or chemical in bottles. 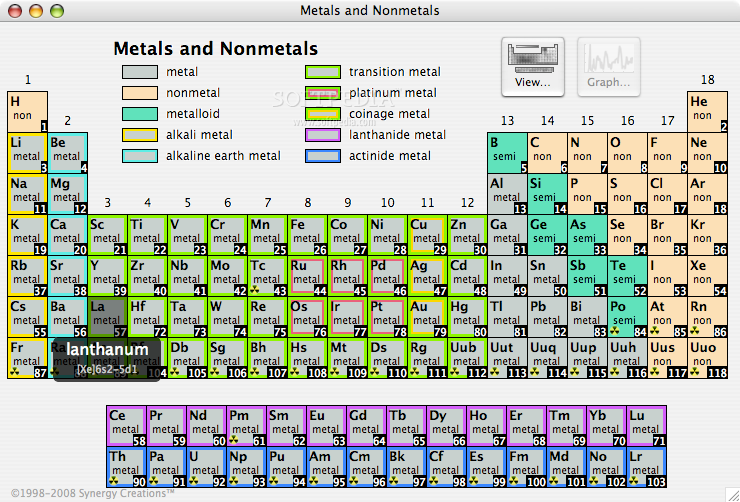 They appear as metals, metalloid (semi-metals) and non-metals. 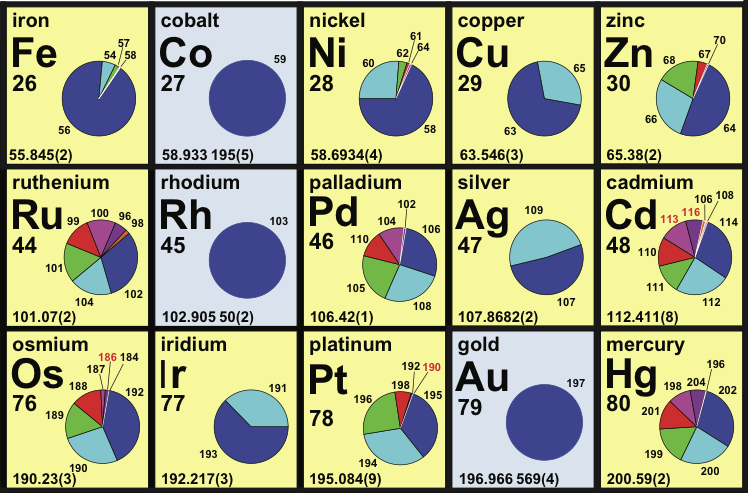 Most of the non-metals are molecular materials while most of the metalloids have an extended network-covalent structure. 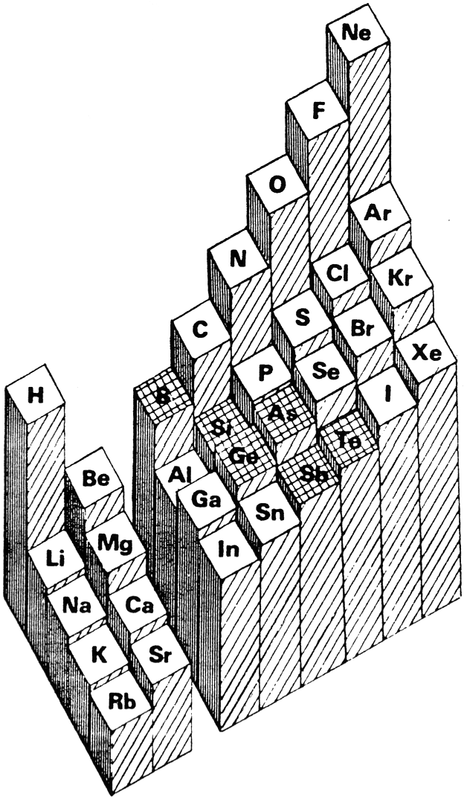 The elements B, C, Si, P, S, Ge, As, Se, Sn, Sb and Te can form allotropes: pure elemental substances that can exist with different crystalline structures from the Wikipedia. 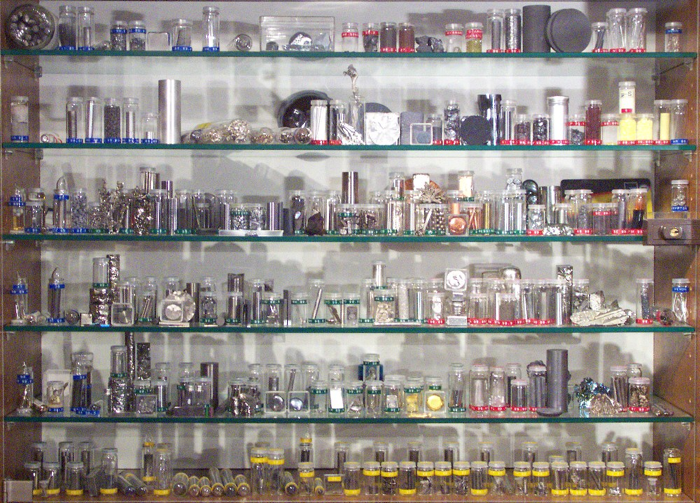 Allotropes may be metallic, network or molecular. 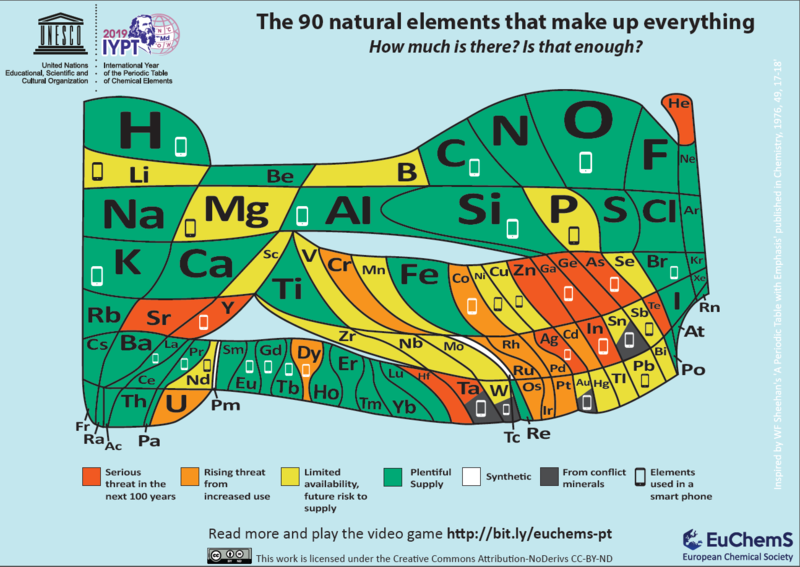 The European Chemical Society Periodic Table depicting element scarcity was unveiled and discussed at a EuChemS event in the European Parliament on Tuesday 22nd January 2019. The event, chaired by MEPs Catherine Stihler and Clare Moody, presented an encompassing overview of what element scarcity means for us: both on a scientific level, but also economically and politically. A presentation from speaker Natalia Tarasova, IUPAC Past President, contextualised EuChemS' work within the celebrations of the International Year of the Periodic Table, whilst M Pilar Gil, from the University of St Andrews, delivered a remarkable and exhilarating talk on how the recently discovered oldest known wallchart of the Periodic Table was uncovered and dated. 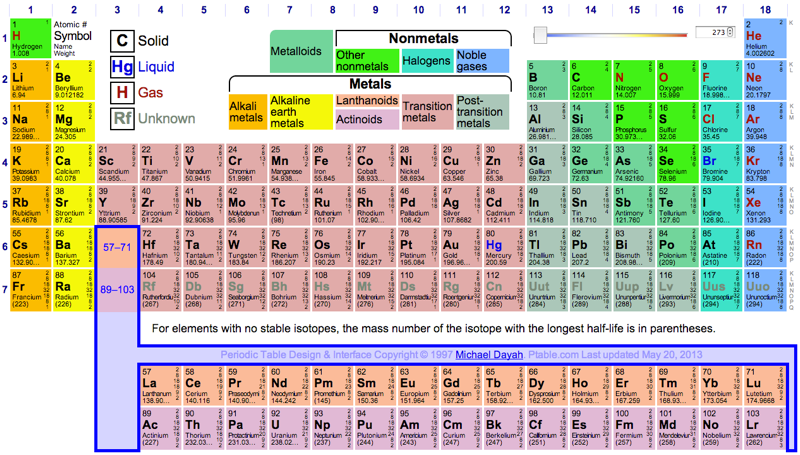 An article in The Conversation, by David Cole-Hamilton of the University of St Andrews, uses this periodic table to look at elements that are overexploited in the modern world. 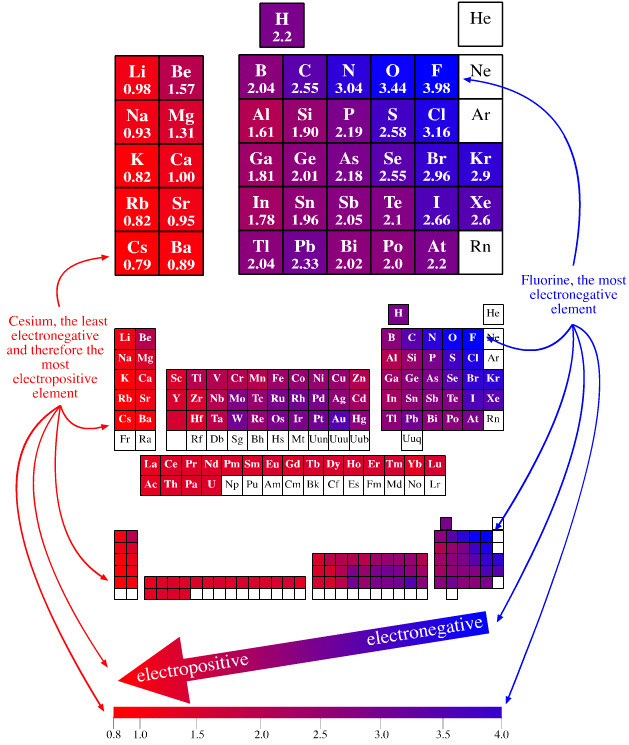 "Red indicates that dissipation will make the elements much less readily available in 100 years or less: helium (He), silver (Ag), tellurium (Te), gallium (Ga), germanium (Ge), strontium (Sr), yttrium (Y), zinc (Zn), indium (In), arsenic (As), hafnium (Hf) and tantalum (Ta). "Helium is used to cool the magnets in MRI scanners and to dilute oxygen for deep sea diving. Vital rods in nuclear reactors use hafnium. Strontium salts are added to fireworks and flares to produce vivid red colours. Yttrium is a component of camera lenses to make them shock and heat resistant. It is also used in lasers and alloys. 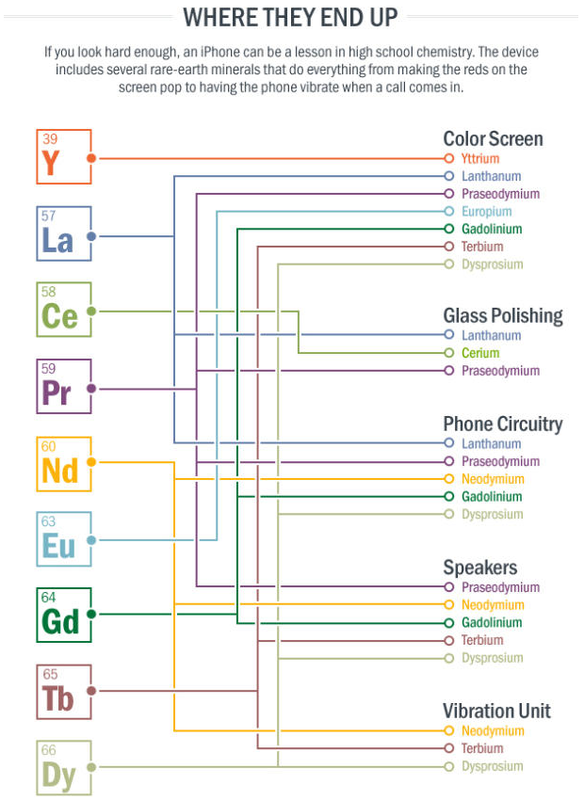 Gallium, meanwhile, is used to make very high-quality mirrors, light-emitting diodes and solar cells." 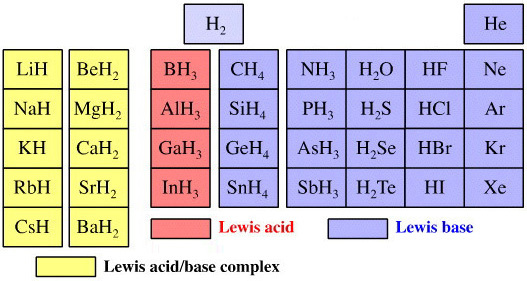 Ionic or Salt-Like Hydrides: Molten LiH conducts electricity and hydrogen gas is liberated at the anode confirming presence of hydride ion H. The crystal structures show an ionic lattice, and not an LiH molecular lattice. Covalent Hydrides are formed by the p-Bolock elements. 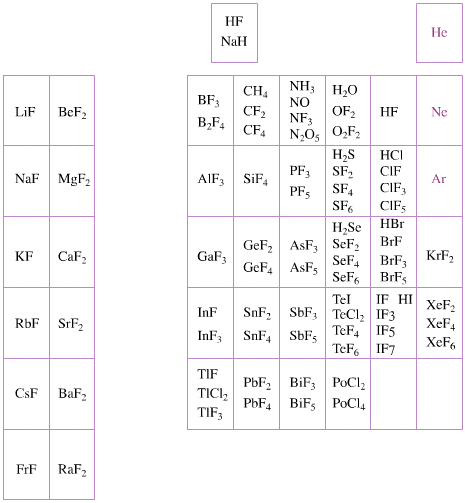 Metallic or Interstitial Hydrides are formed by many d-block and f-block elements when heated with hydrogen under pressure. The hydrides tend to be non-stoichiometric and they may be of variable composition. There is a Hydride Gap where elements do not form hydrides. 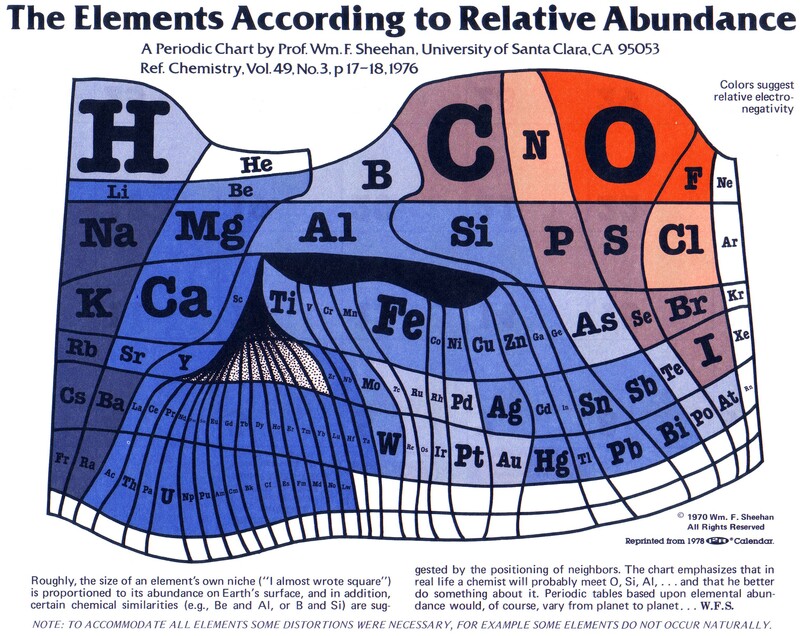 This roughly maps to the Siderophile Elements of the geologist's periodic table (below). The Intermediate Hydrides do not fit: beryllium hydride is polymeric, (BeH2)n. Others have properties between metallic and covalent. The main group elemental hydrides are all well known reagent chemicals. The main group hydrides always give the lowest and most common oxidation state, and all chemicals are molecular in the gas phase. The Group I and II hydrides are ionic materials, but they can be vaporised to give the molecular form. 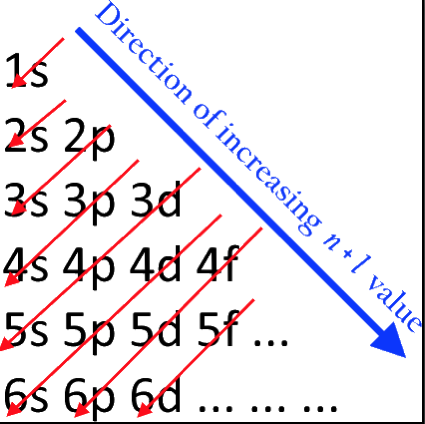 There is a general increase in the number of possible oxidation states towards the lower right hand side of the periodic table. Nitrogen(V) fluoride, NF5, is not known, but the nitrogen(V) oxide is: N2O5. PtBr2 and PtBr3 are known, but PtF2 and PtF3 are not. All elements are known in the zero oxidation state, but apart from: He, Ne & Ar, and these are not shown in the diagram below. All data is from WebElements. 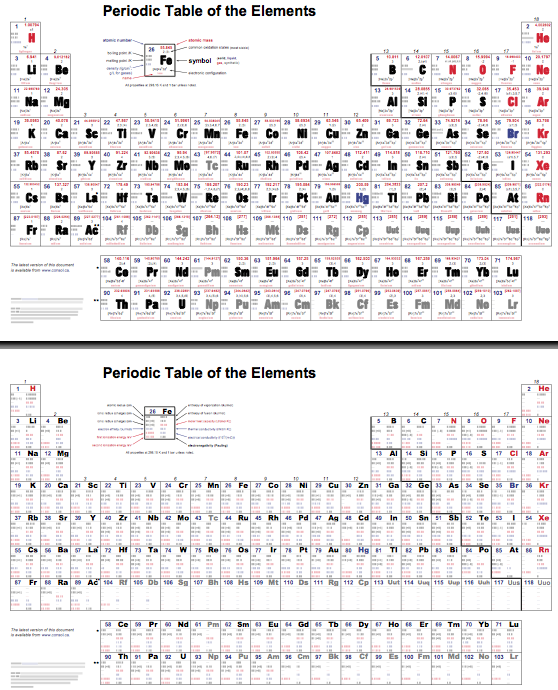 Prepared by P. Lof is Elsevier's Periodic Table of the Elements. 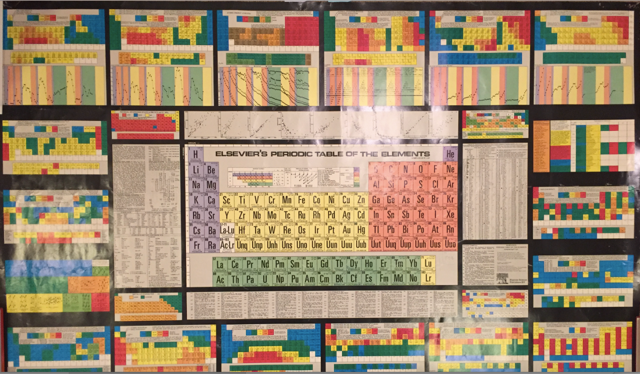 This educational wall chart features the periodic table of the elements supported by a wealth of chemical, physical, thermodynamical, geochemical and radiochemical data laid down in numerous colourful graphs, plots, figures and tables. 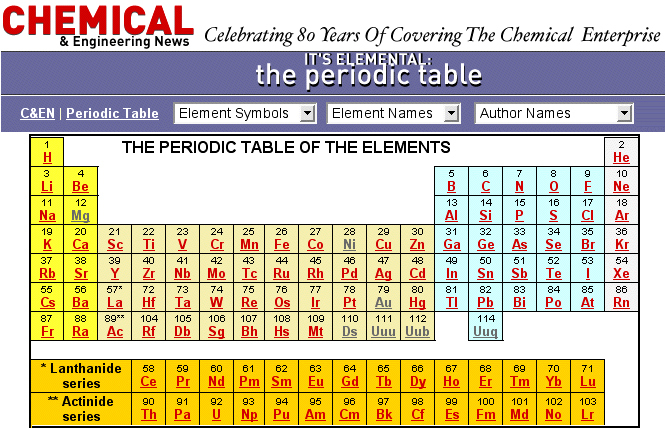 The most important chemical and physical properties of the elements can be found - without turning a page. 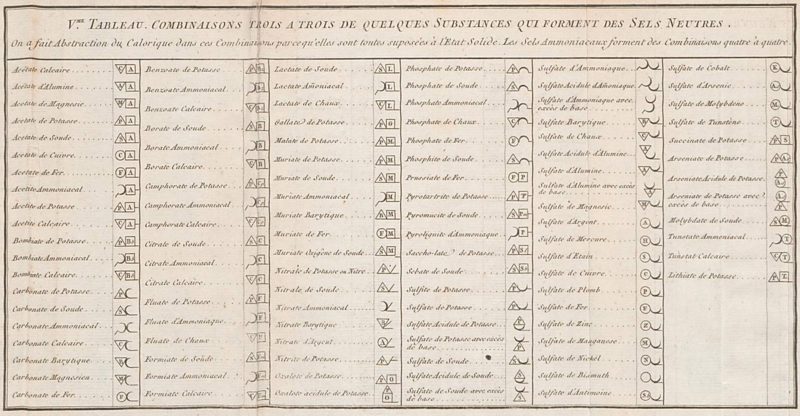 All properties are presented in the form of tables or graphs. More than 40 properties are given, ranging from melting point and heat capacity to atomic radius, nuclear spin, electrical resistivity and abundance in the solar system. 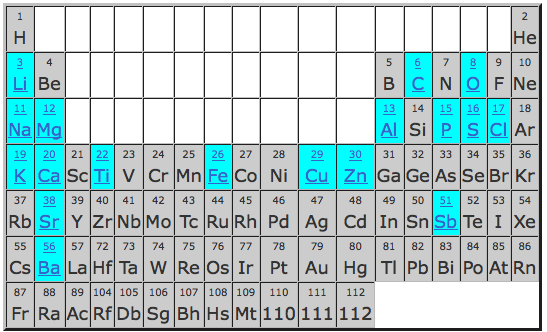 Sixteen of the most important properties are colour coded, so that they may be followed through the periodic system at a glance. 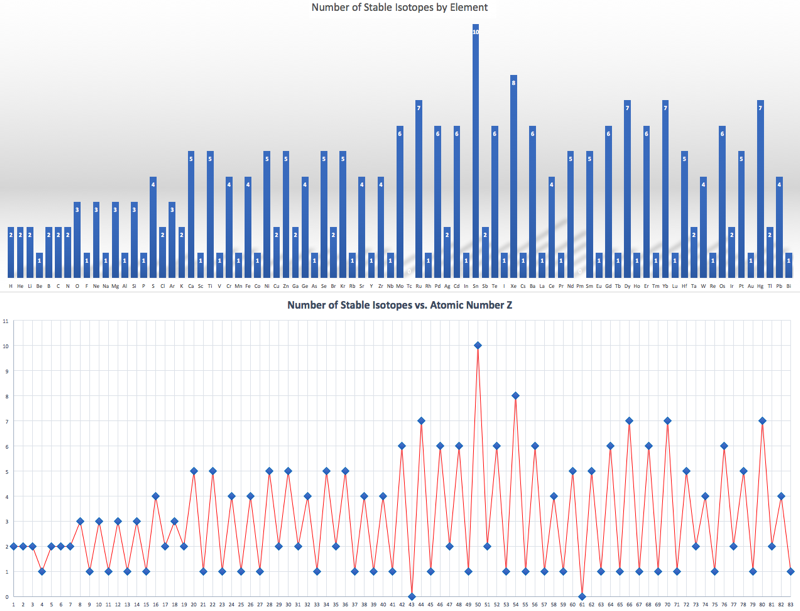 Twelve properties have been selected to illustrate periodicity, while separate plots illustrate the relation between properties. 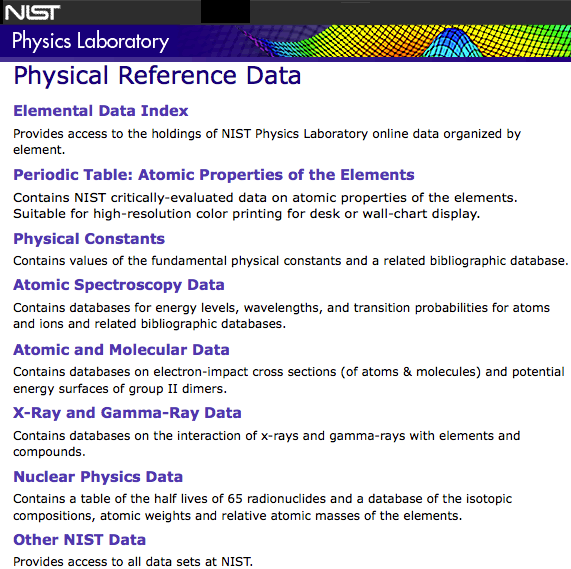 In addition, there are special sections dealing with units, fundamental constants and particles, radioisotopes, the Aufbau principle, etc. All data on the chart are fully referenced, and S.I. units are used throughout. 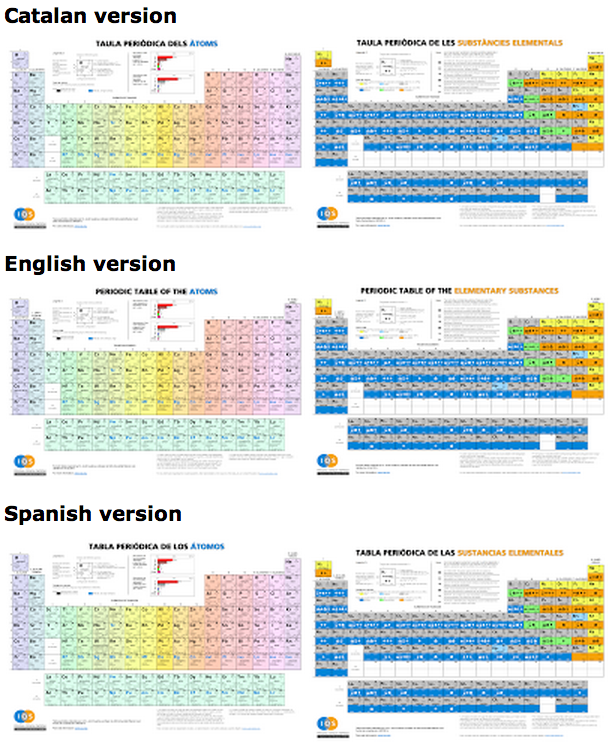 Designed specifically for university and college undergraduates and high school students, "Elsevier's Periodic Table of the Elements" will also be of practical value to professionals in the fields of fundamental and applied physical sciences and technology. The wall chart is ideally suited for self-study and may be used as a complementary reference for textbook study and exam preparation. Other information: Aufbau principle, quantum numbers, orbitals and sequence of orbital filling; trivial group names; drawings of crystal lattice structures; 12 plots of a chemical/physical property against atomic number; 9 plots of a property against another property; list of SI units and SI prefixes; list of other units and their conversion to SI; list of fundamental physical constants; scheme of fundamental particles; list of radioisotopes with half-life longer than 5 days, presenting half-life and mode(s) of decay, indicating cosmogenic isotopes and isotopes produced by U-235 fission, as well as radioisotopes used in geochronology, pharmacology and nuclear medicine. 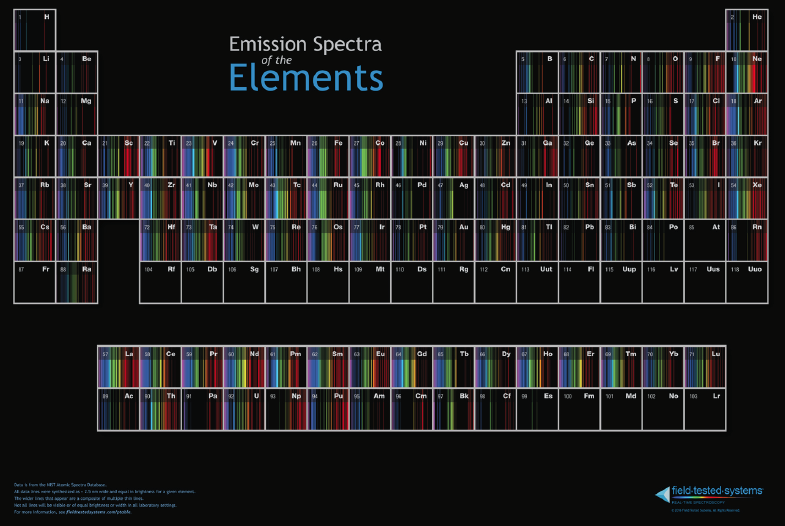 Tom Field, President, Field Tested Systems, LLC and Contributing Editor, Sky & Telescope Magazine says: "We have complete redesigned our Emission Spectra of the Elements Poster and put it up for sale." 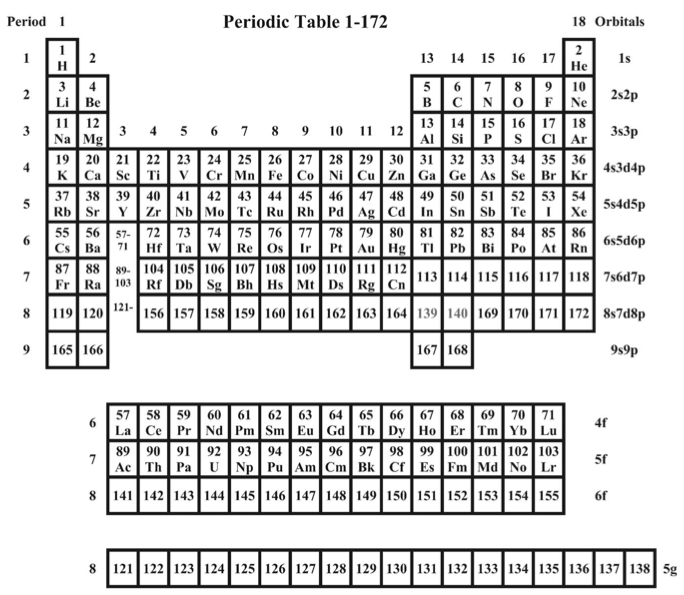 The periodic table now extends to element 118, Oganesson, and scientists are attempting to go further. Below is part of a Segre chart, proton number on the y-axis and neutron number of the x-axis, from a report from the Japanese Superheavy Element Laboratory, RIKEN Nishina Center, RIKEN. 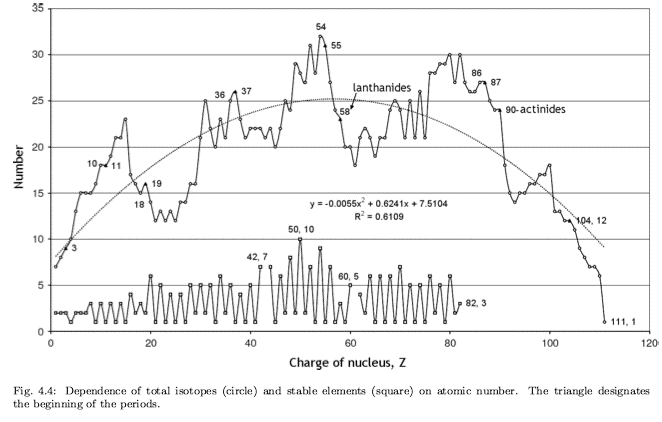 The diagram shows various nuclear reactions, for example: 232Th + 40Ar to make 272Hs. Thanks to Larry Tsimmerman for the tip! 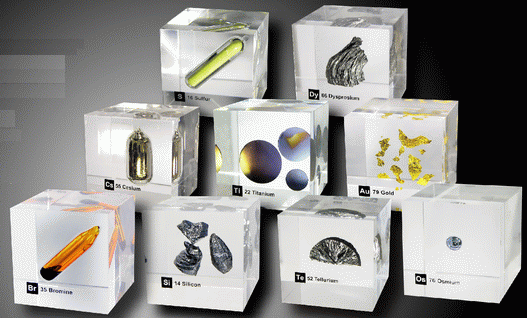 Highly electropositive elements (Na, K) and electronegative elements (Cl2, F2) can only be obtained by electrolysis. 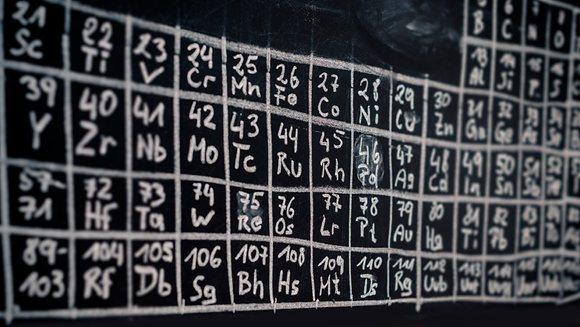 There is debate amongst the cognoscenti about the 'best' representation of the periodic table, and how this 'best' formulation can be explained by [rationalized by] quantum mechanics (QM). 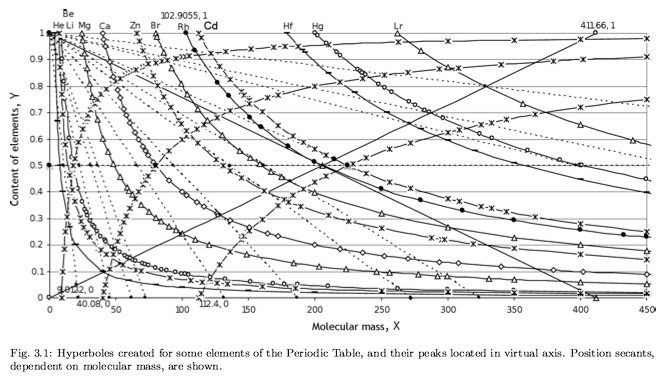 Many feel that the Janet PT formulation, the 'Left Step', is the ideal QM PT, but this formulation does not show periodicity very well, and there are issues with the placement of H, He, Be which spill over into questions about their placement in the standard form PT (the periodic table used in classrooms and textbooks around the world). 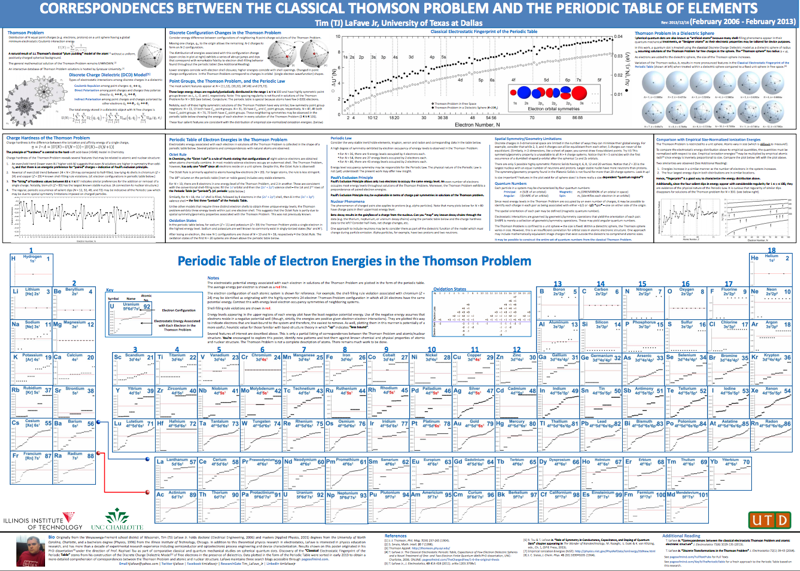 However, it is possible to get to the conventional standard form PT directly from the first ionisation energy data, where the 1st ionisation energy is the energy required to convert a gas phase atom (M) into its gas phase positive ion plus electron. Note that a similar logic can be applied to atomic radius and electronegativity data. However, there are issues about the measurement of atomic radius, because atoms are 'soft at their edges', and gas phase atomic radius is not precisely defined. And, electronegativity is a derived parameter. Atmophile Elements - noble gases and covalently bonded gaseous molecules. The atoms and molecules are attracted by weak van der Waals forces and so these elements remain gaseous at room temperature. 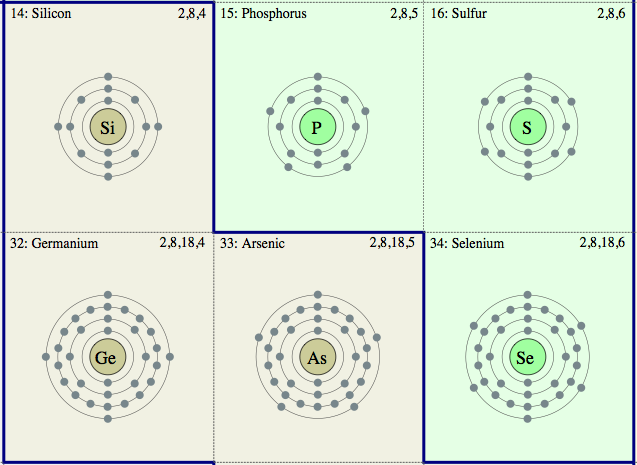 Lithophile Elements - Those elements which form ionic bonds generally have filled outer electron shells. They typically bond to oxygen in silicates and oxides. Siderophile Elements - The metals near iron in the periodic table that exhibit metallic bonding, have a weak affinity for oxygen and sulfur and are readily soluble in molten iron. 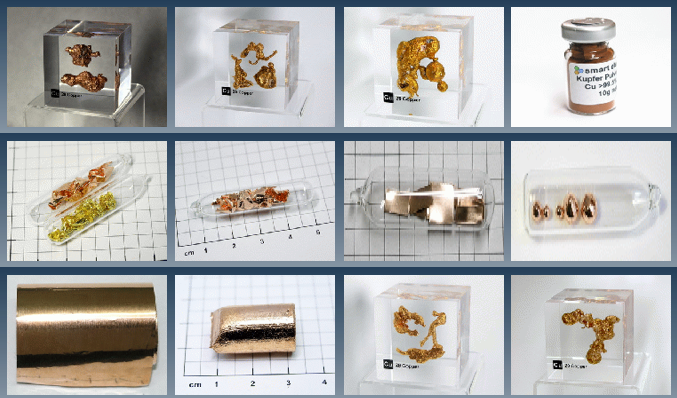 Examples include iron, nickel, cobalt, platinum, gold, tin, and tantalum. 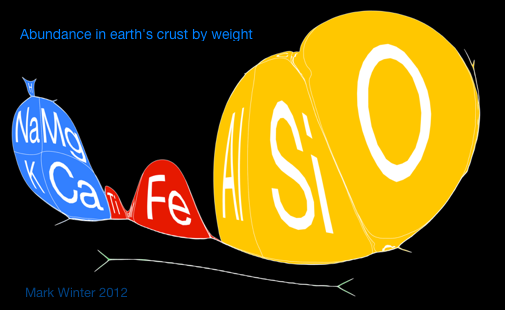 These elements are depleted in the earth crust because they have partitioned into the earth's iron core. 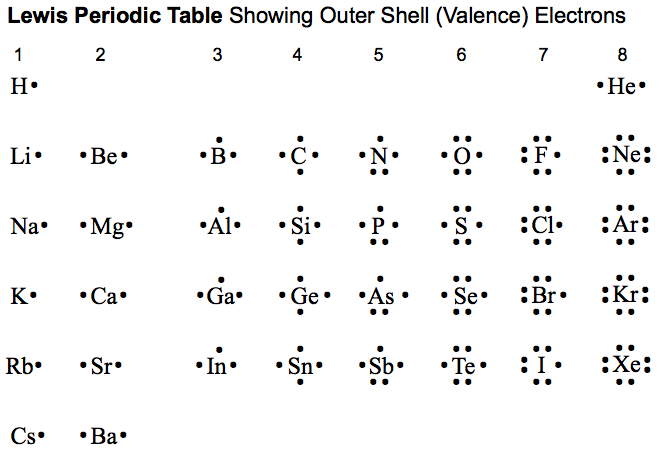 Chalcophile Elements - The elements that bond to S, Se, Te, Sb, and As. 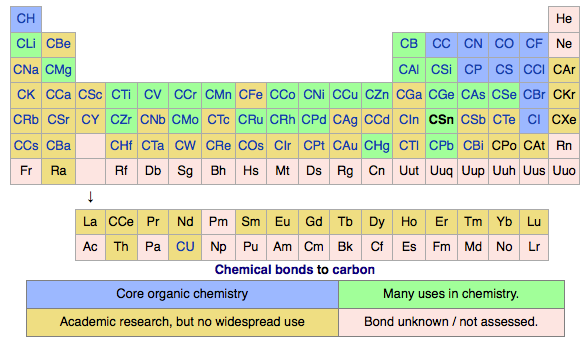 These bonds are predominantly covalent in character. As discussed in more detail here. 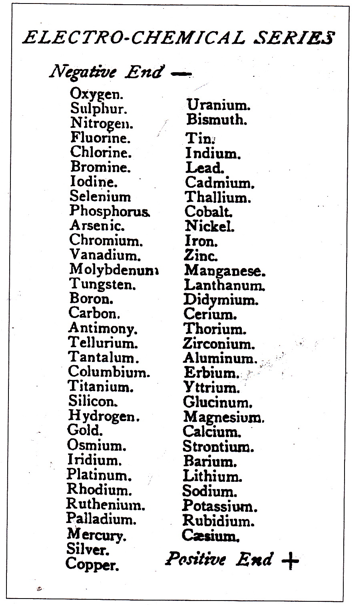 From a Scientific American in March 1919, an article by Ingo W. D. Hackh discussing the classification of the elements. Every element has a specialist, somewhere, for whom it is the most important element. 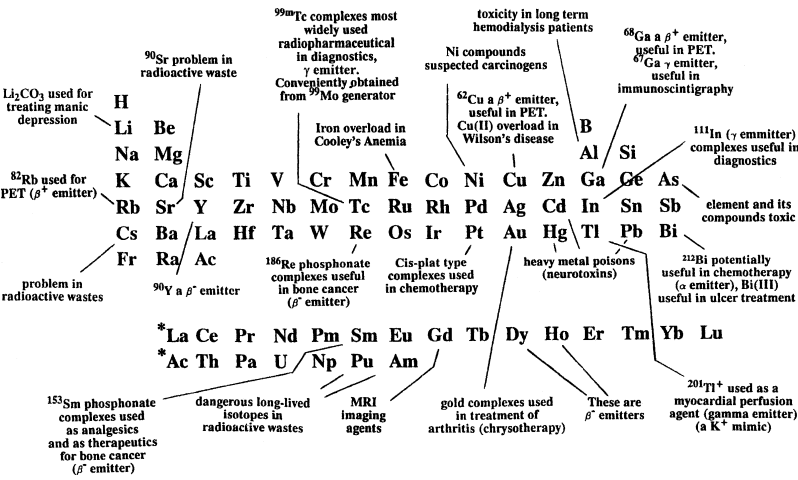 An Inorganic Chemist's Periodic Table by Geoff Rayner-Canham, here. This PT was used on the cover of Descriptive Inorganic Chemistry, Third Edition. 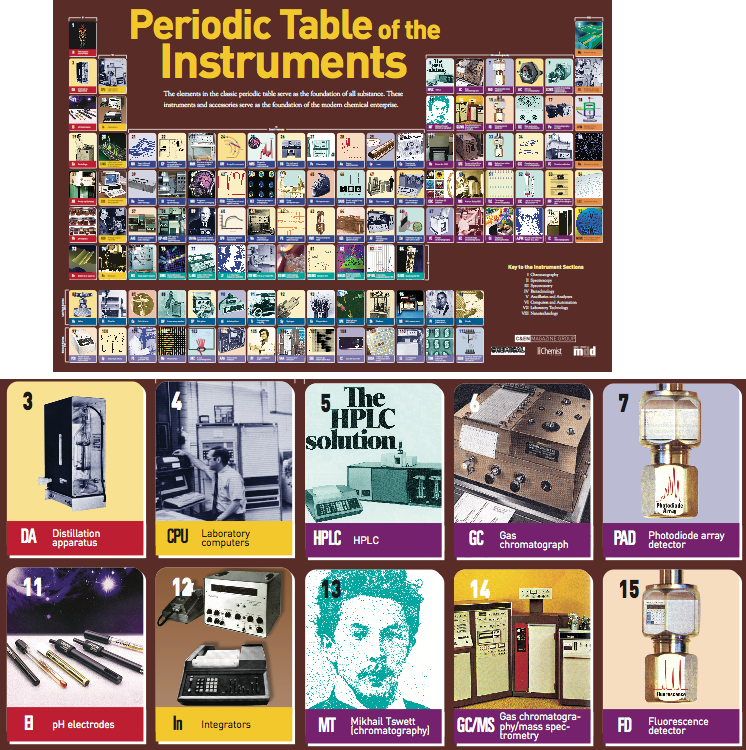 A periodic table of various scientific instruments and techniques from Thermo Scientific and C&EN. 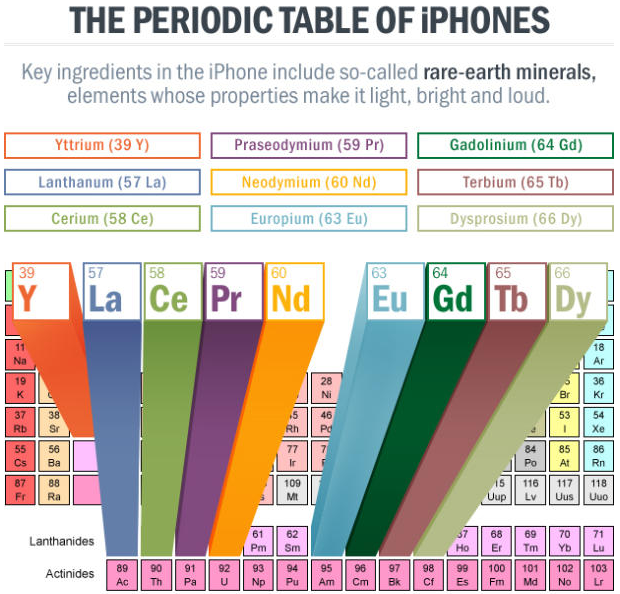 An article in Scientific American Digging for Rare Earths: The Mines Where iPhones Are Born. 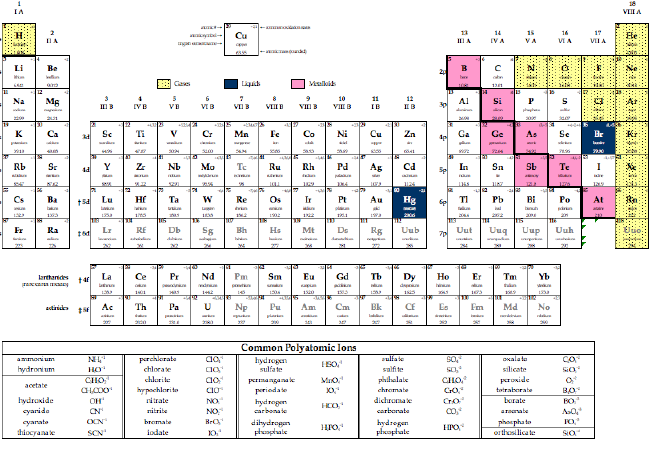 The 2012 IUPAC (International Union of Pure and Applied Chemistry) Periodic Table of The Elements showing the recently named elements: Fl (flerovium, 114) and Lv (livermorium, 116). This version is dated 1 June 2012. For updates to this table, go here. 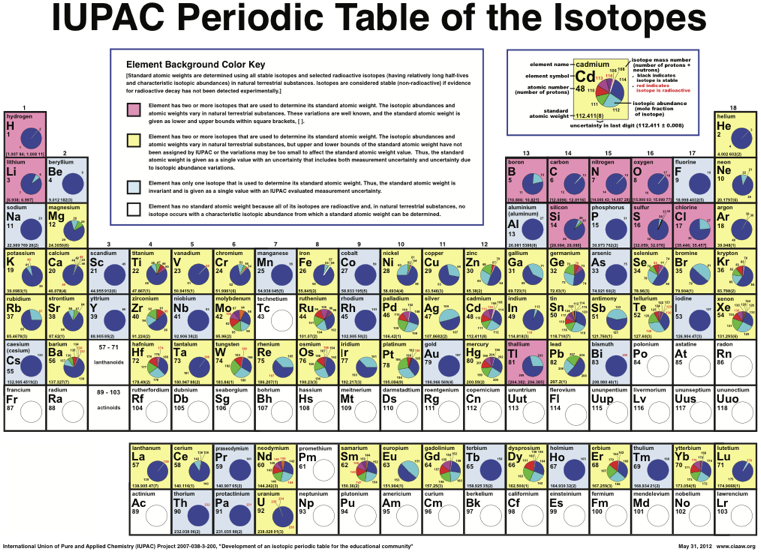 The Periodic Table of the Isotopes, published by International Union of Pure and Applied Chemistry (IUPAC), is now available from the Commission on Isotopic Abundances and Atomic Weights, which is a commission under the Inorganic Division (Division II) of IUPAC. 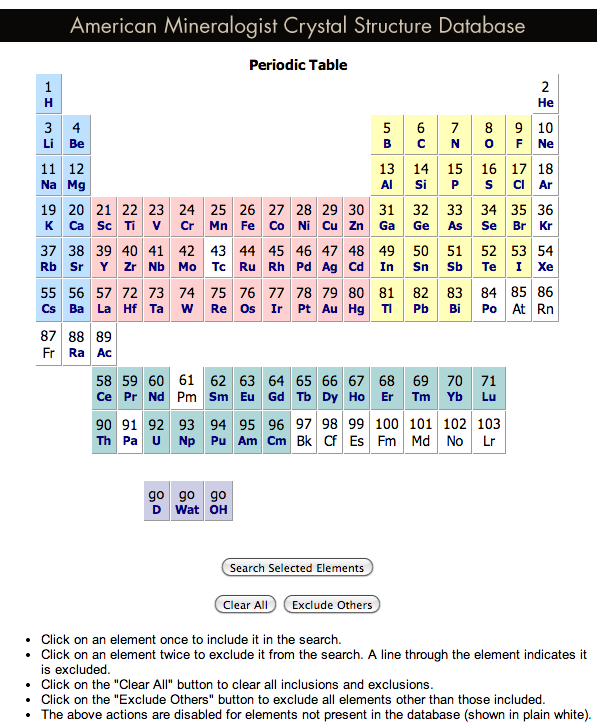 Element has two or more isotopes that are used to determine its standard atomic weight. 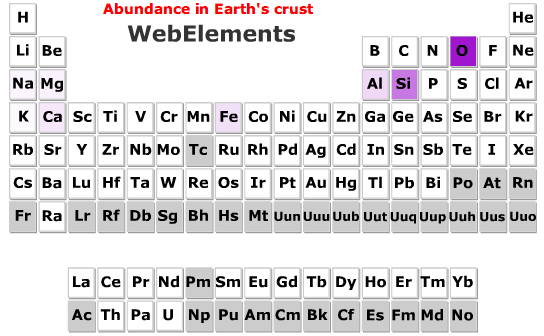 The isotopic abundances and atomic weights vary in natural terrestrial substances. 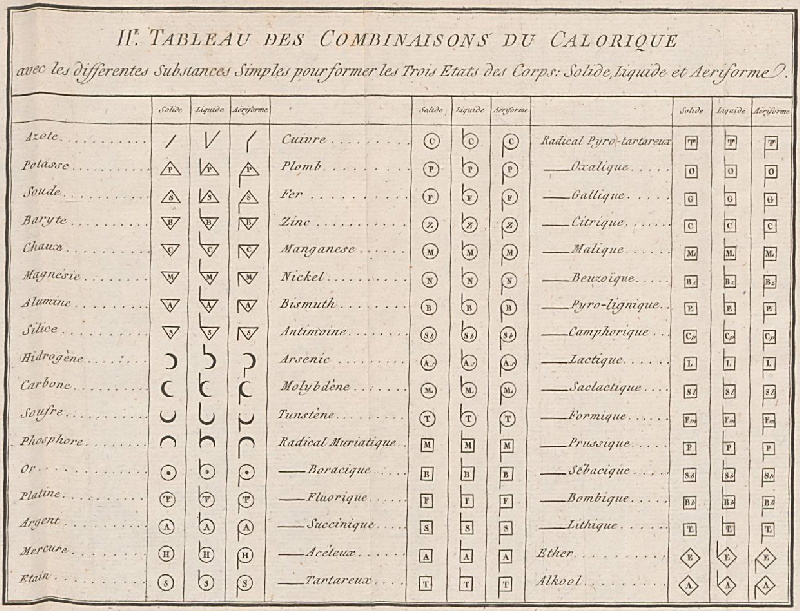 These variations are well known, and the standard atomic weight is given as lower and upper bounds within square brackets, [ ]. 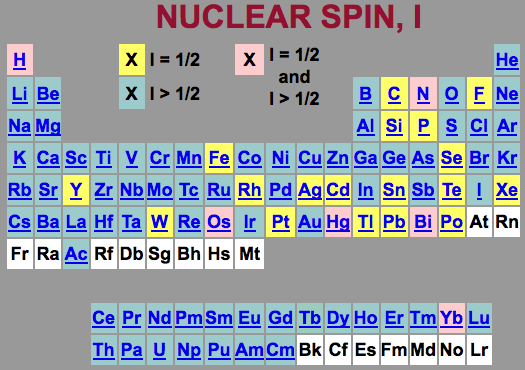 Element has two or more isotopes that are used to determine its standard atomic weight. 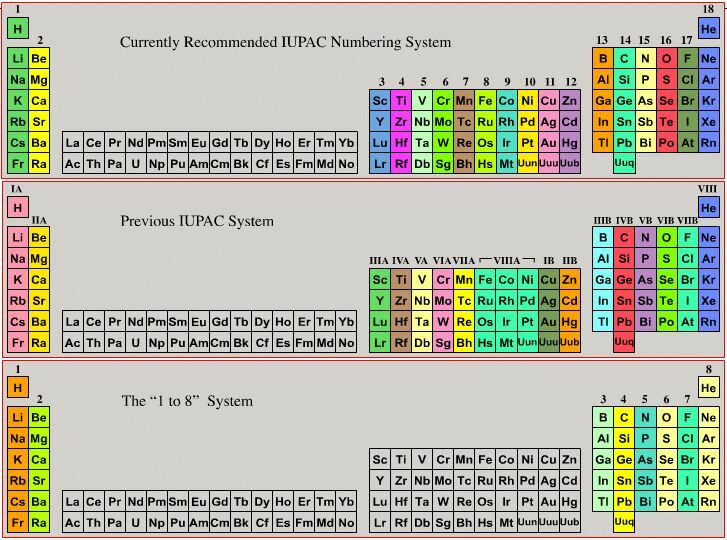 The isotopic abundances and atomic weights vary in natural terrestrial substances, but upper and lower bounds of the standard atomic weight have not been assigned by IUPAC or the variations may be too small to affect the standard atomic weight value. 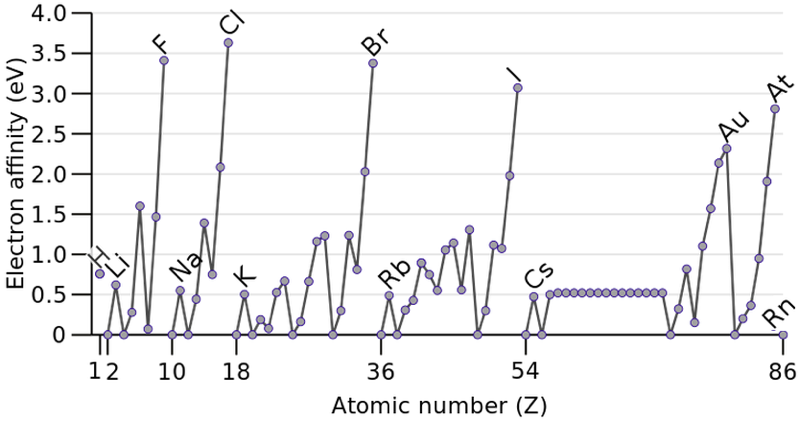 Thus, the standard atomic weight is given as a single value with an uncertainty that includes both measurement uncertainty and uncertainty due to variations in isotopic abundances. 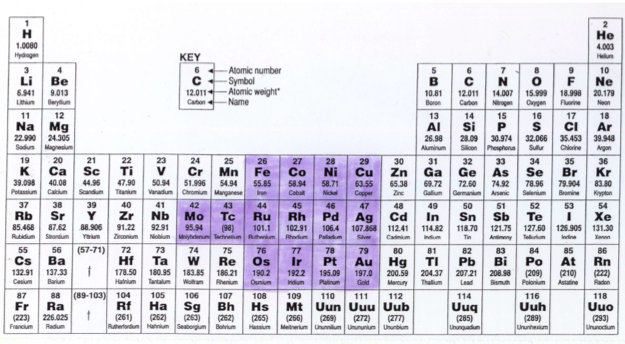 Element has only one isotope that is used to determine its standard atomic weight. 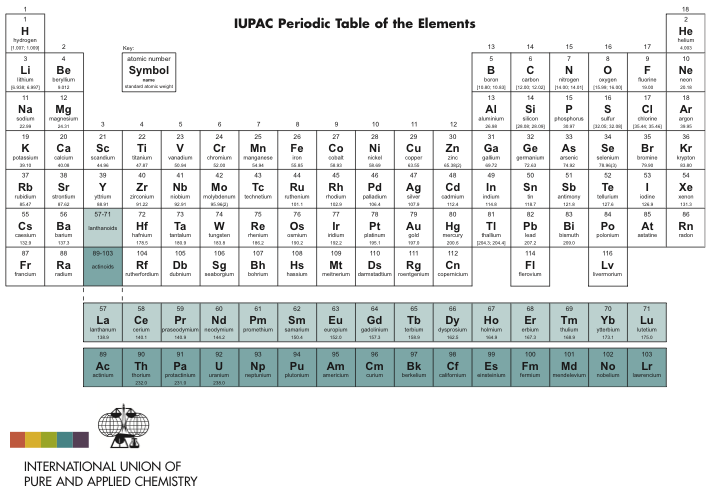 Thus, the standard atomic weight is invariant and is given as a single value with an IUPAC evaluated measurement uncertainty. 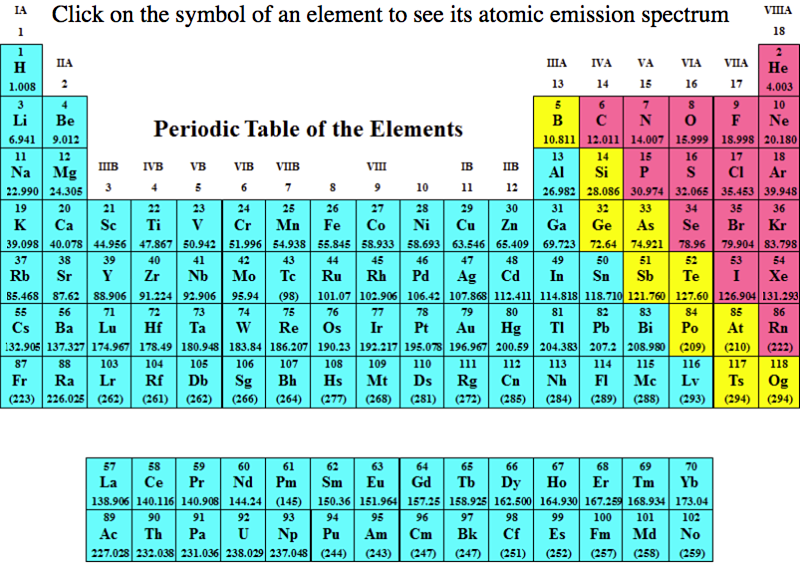 Element has no standard atomic weight because all of its isotopes are radioactive and, in natural terrestrial substances, no isotope occurs with a characteristic isotopic abundance from which a standard atomic weight can be determined. For the iPhone and iPad, JR's Chemistry Set makes chemistry interesting and fun to learn. 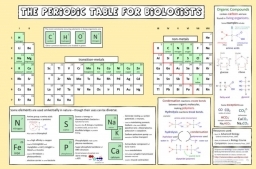 Based upon the innovative Rota Period, it is a handy and powerful reference tool for chemistry enthusiasts and practitioners at all ages and all levels. 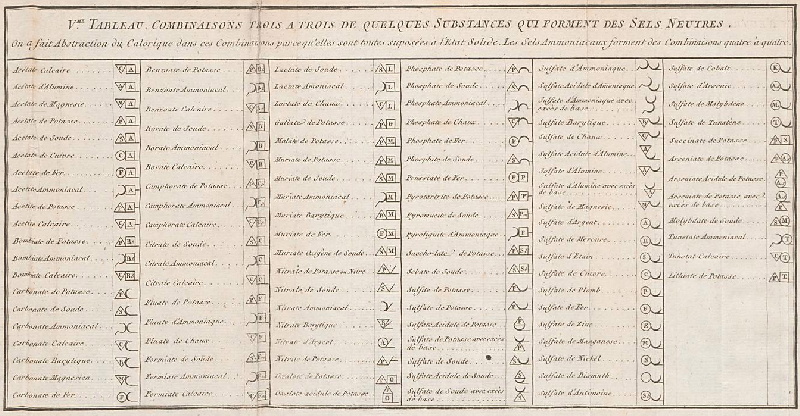 By Louis Bernard Guyton de Morveau (1737-1816), Antoine Laurent Lavoisier (1743-1794) , Claude-Louis Berthollet (1748-1822) & Antoine-François de Fourcroy (1755-1809) a book: Méthode de Nomeclature Chimique. 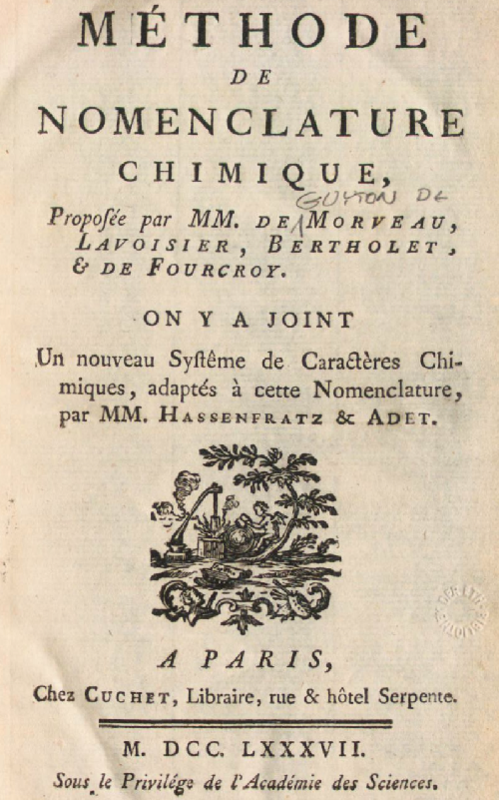 The book lists the several hundred chemicals known at the time, including chemical elements, and it discusses the nomenclature (naming). 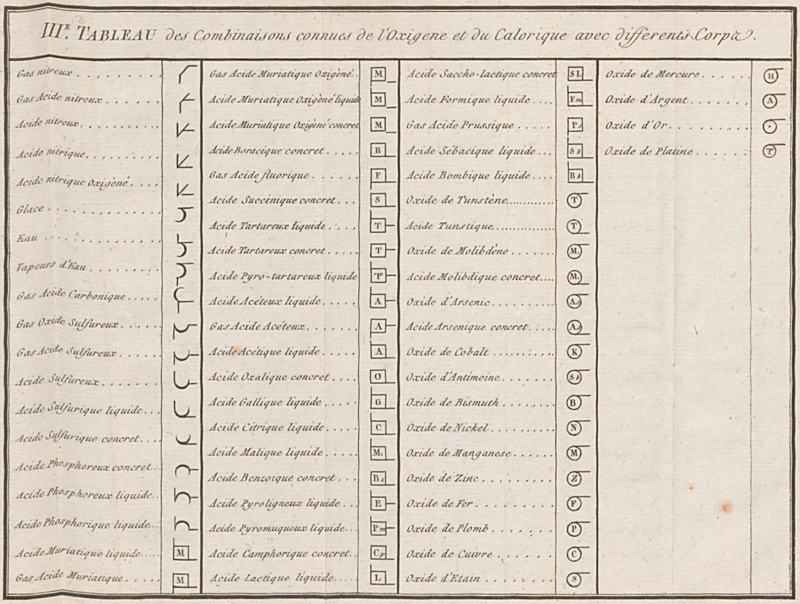 Although not a periodic table as such, the information contained in this book was state of the art for 1787. 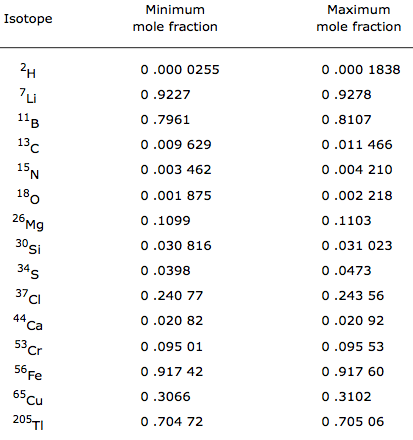 Pairs of atoms where atomic mass does not follow atomic number. 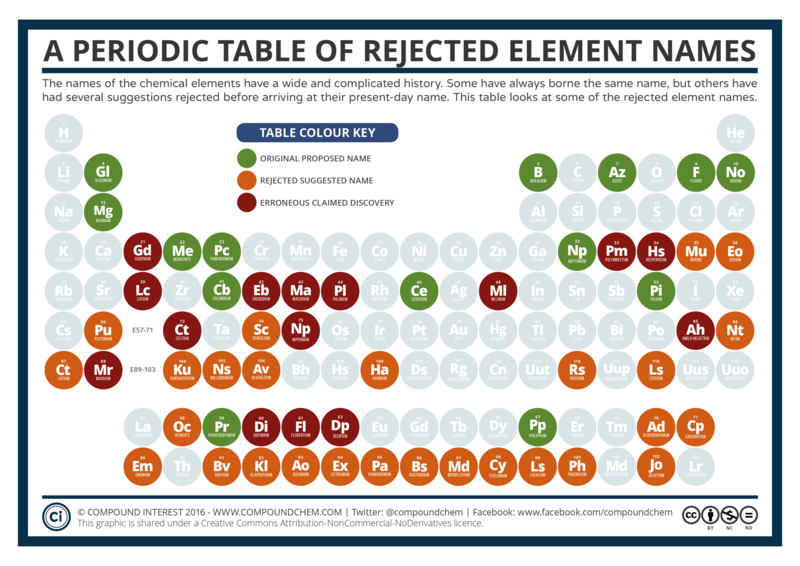 Nature's little quirk  due to the intricacies of nuclear chemistry and isotopic abundance  caused no end of difficulties to the developers of the periodic table in the mid-nineteenth century. 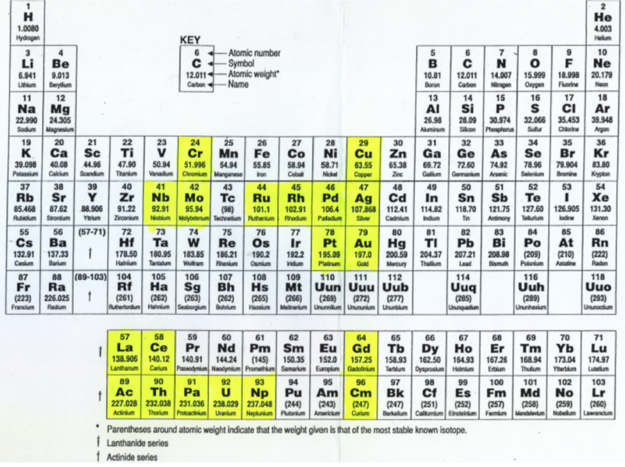 Scientists could determine atomic mass, but knew nothing of protons or atomic numbers. 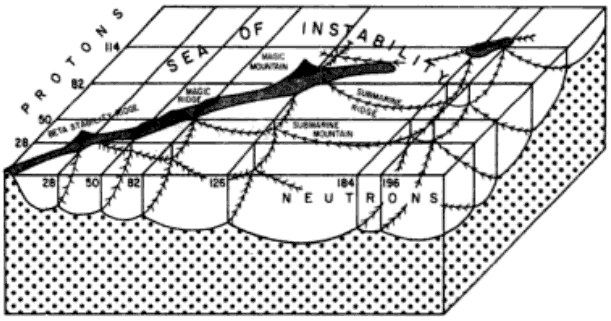 The tellurium-iodine anomaly was a particular problem. 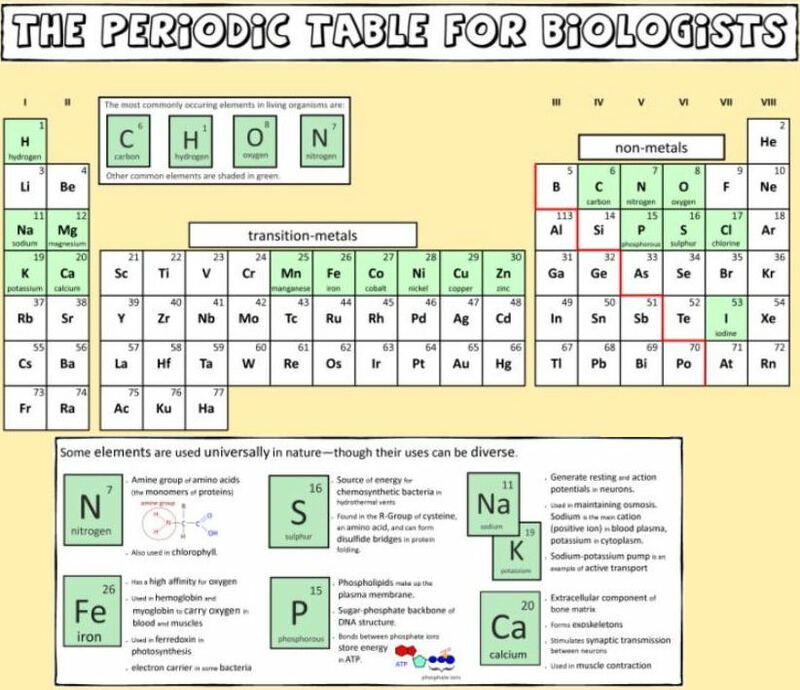 From In The Pipeline, a blog posting about a [free, full access] review entitled, Exploration of the medical periodic table: towards new targets. 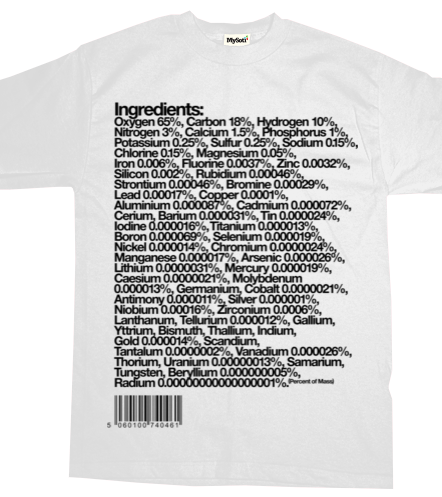 Element symbols in white are known to be essential in man. 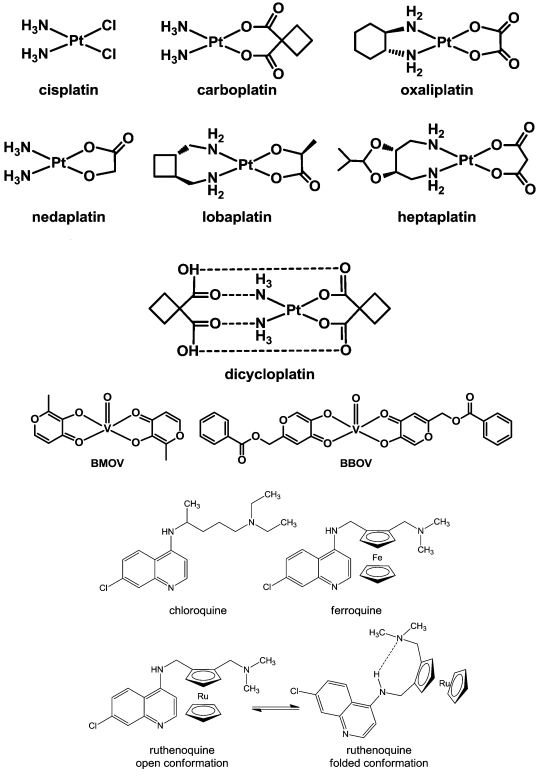 The ones with a blue background are found in the structures of known drugs. The orange ones are used in diagnostics. The green ones are medically useful radioisotopes. The paper notes that titanium and tantalum are coloured blue due to their use in implants. 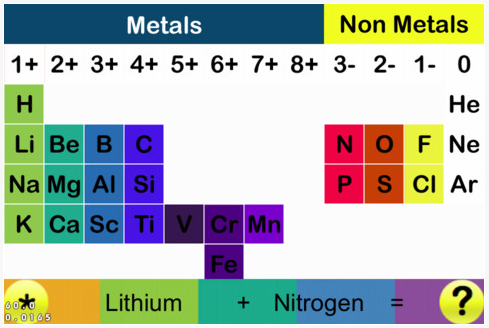 From Metal Complexes in Aqueous Solutions by Martell & Hancock, a periodic table of metals in medicine. 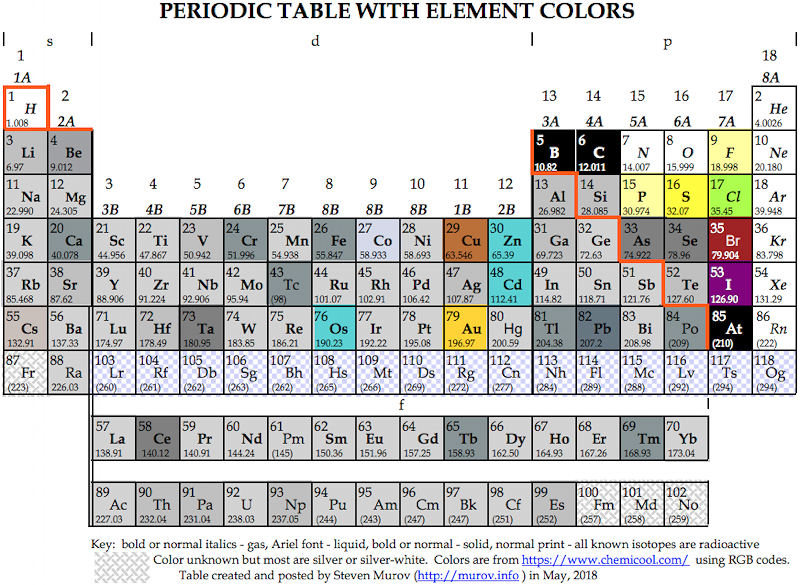 "The element squares of this periodic table have colors resembling the actual colors of the elements. 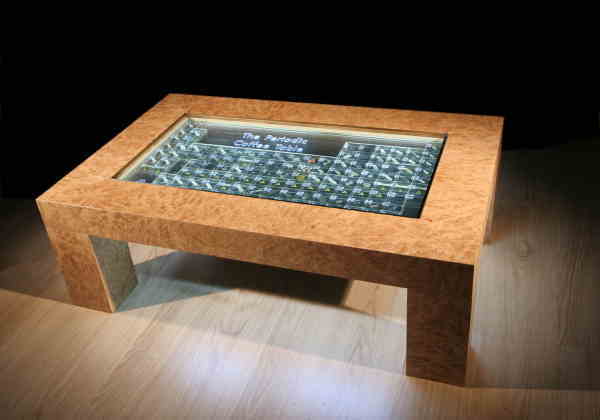 The table provides insight useful for helping to distinguish metals and non-metals as well as observations on elements of unusual color. The colors were taken from https://www.chemicool.com/ and applied with RGB codes." 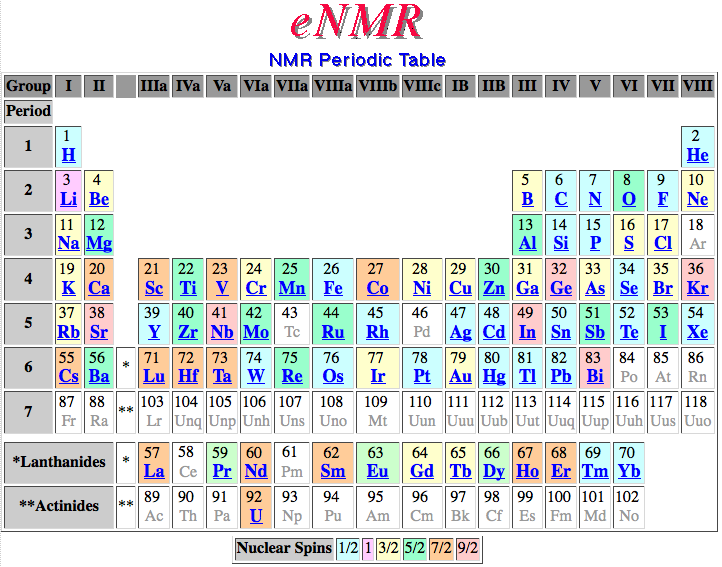 The range of NMR active nuclei observable on a particular instrument is, in part, a function of the configuration of the spectrometer and the choice of available probes. 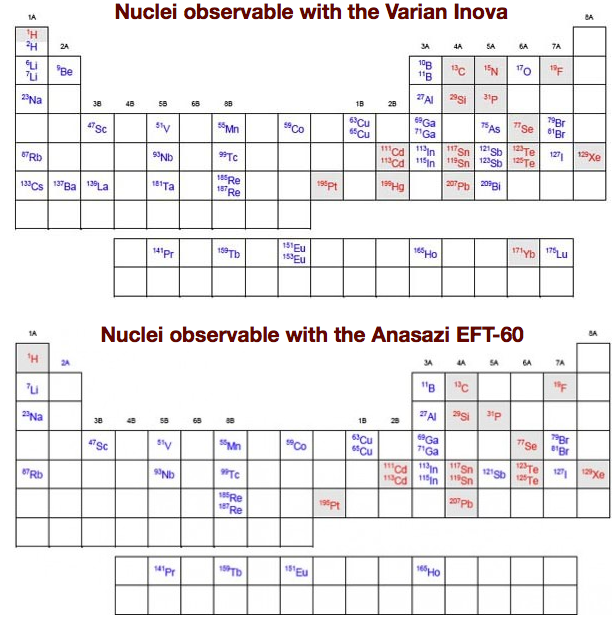 The periodic tables below identify the nuclei that have resonance frequencies within the detection range of the Lake Forest College Inova and the EFT-60 NMR spectrometers. The nuclei in red are I=1/2 and yield spectra with narrow, non-overlapping resonances. The nuclei in blue have quadrapolar moments and may give rise to broad or very broad resonances in their spectra. 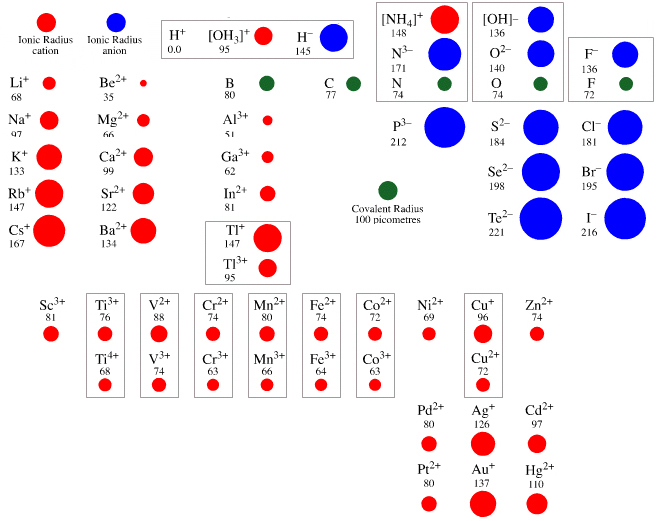 The buildup of heavy elements from lighter ones by nuclear fusion. 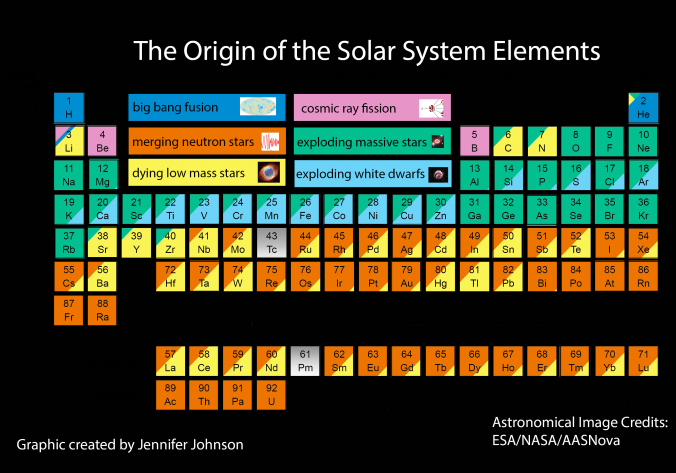 Today most element-building nucleosynthesis takes place in stars. Stellar nucleosynthesis converts hydrogen into helium, either by the proton-proton chain or by the carbon-nitrogen-oxygen cycle. As a star evolves, a contracting superdense core of helium is produced from the conversion of hydrogen nuclei into helium nuclei. Our quest to explain the origin of the elements started in the late 1950's by two famous papers independently - E. M. Burbidge et al., Rev. Mod. Phys. 29, 547 (1957) & A.G.W. Cameron, Pub. Astron. Soc. Pac. 69, 201 (1957) - whose authors claimed that the elements are created in astrophysical environments. 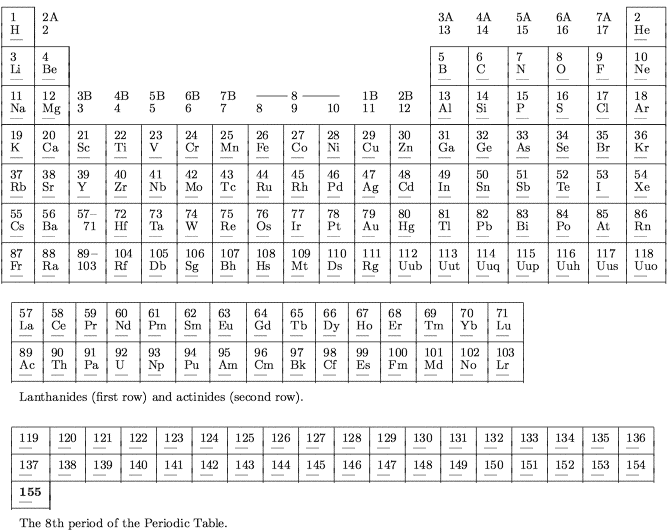 This is the well-known periodic table of elements, but where each element is labeled by the environment that is created (e.g Supernova explosion etc.). 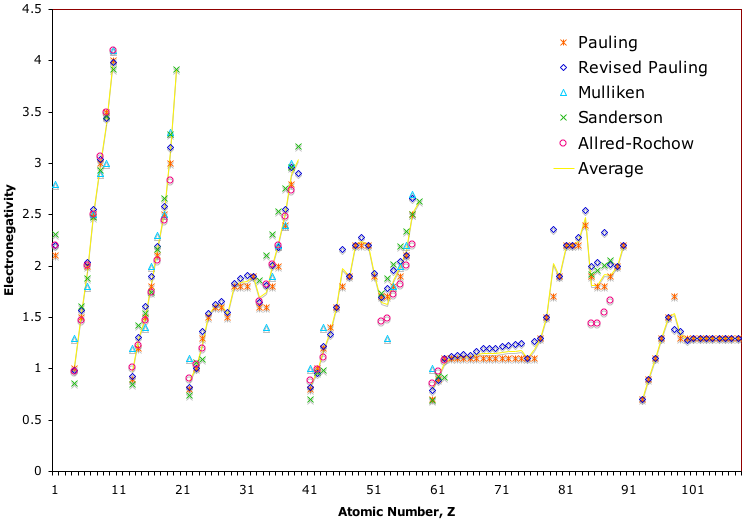 When plotting the number of stable isotopes against element, and against atomic number Z, it is clear that elements with an even atomic number are likely to have more stable isotopes (average 4.9) than elements with an odd atomic number (average 1.3). Click here for the Excel file. There is a Wikipedia page here. 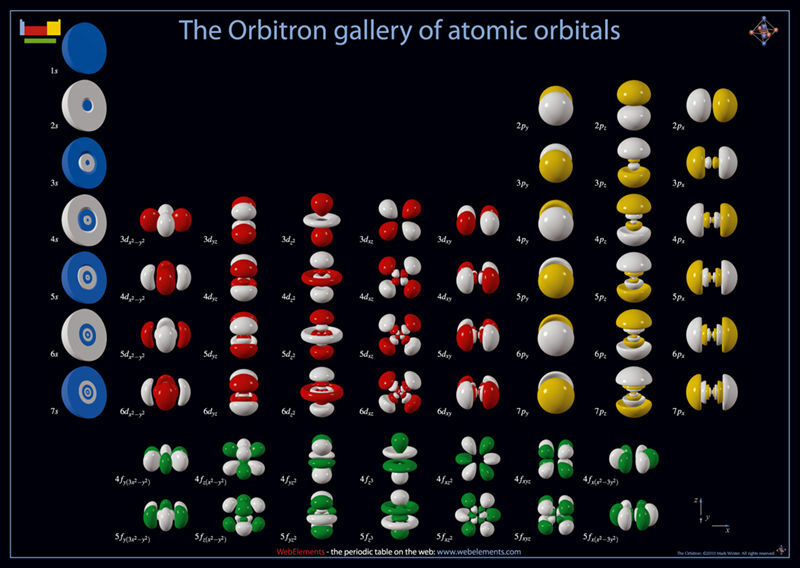 Students of chemistry are often confused why the orbitals fill with electrons: 1s2, 2s2, 2p6, 3s2, 3p6, 4s2, 3d10, 4p6... etc., because the 3d10 seems to be 'out of sequence'. 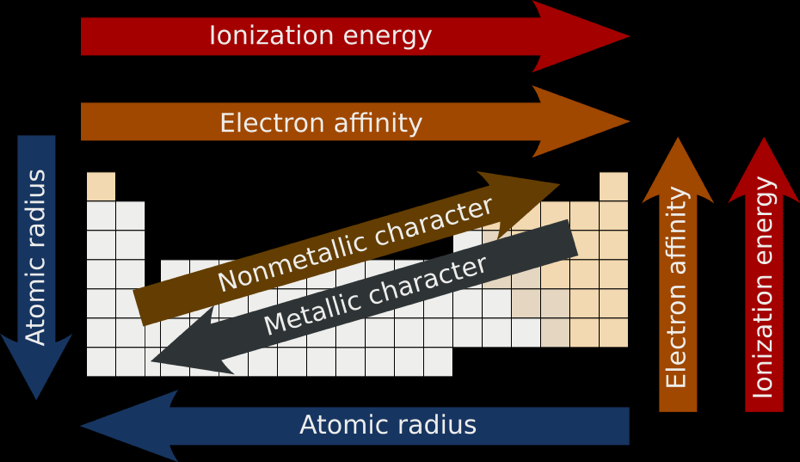 The aufbau principle states that in the ground state of an atom or ion, electrons fill atomic orbitals of the lowest available energy levels before occupying higher levels. For example, the 1s shell is filled before the 2s subshell is occupied. 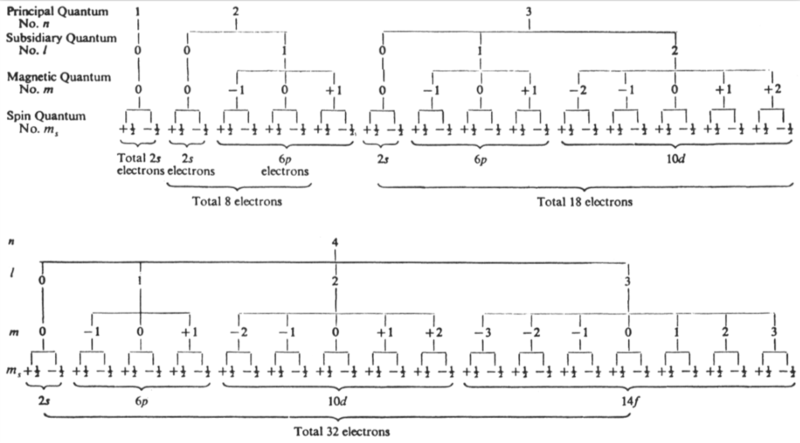 In this way, the electrons of an atom or ion form the most stable electron configuration possible. 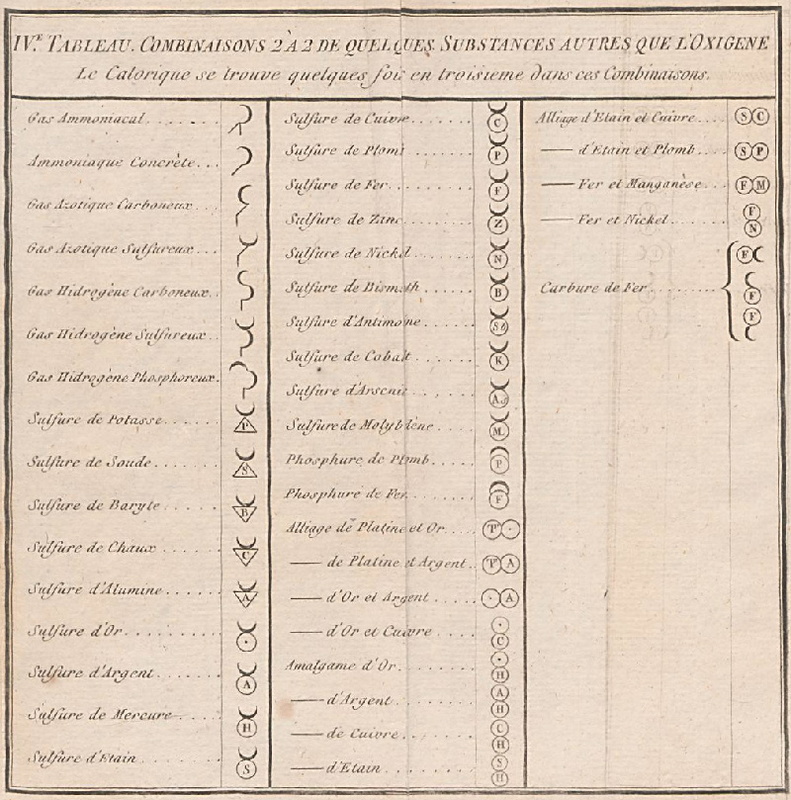 The order in which these orbitals are filled is given by the n + rule, also known as the Madelung rule (after Erwin Madelung), the Janet rule or the diagonal rule. Orbitals with a lower n + value are filled before those with higher n + values. In this context, n represents the principal quantum number and ? the azimuthal quantum number. 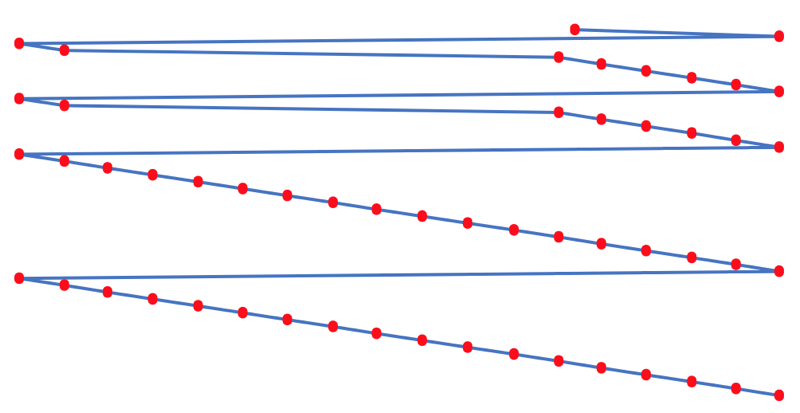 The values = 0, 1, 2, 3 correspond to the s, p, d and f orbital lables. "I send you the diagram below that reconciles quantum mechanics (diagram for filling the electronic cells) with the Janet table or LSPT. Explaining the duplication of periods with the duplication of the quantum number n, and the introduction of Tao (T) spin of the level or spin of the period, which explains the parity of the symmetric periods." The orbitron web page is here. 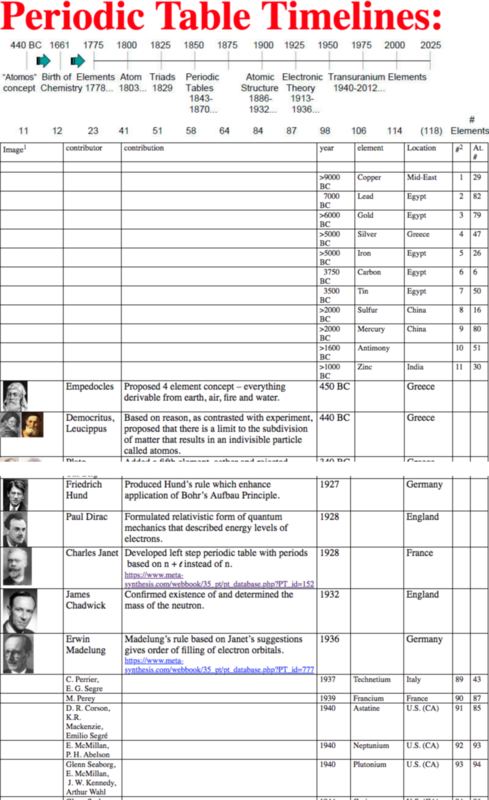 Published by Paneth in 1942 in an article in Nature in which he suggests that newly discovered elements such as Z = 43 should be given names by their discoverers. 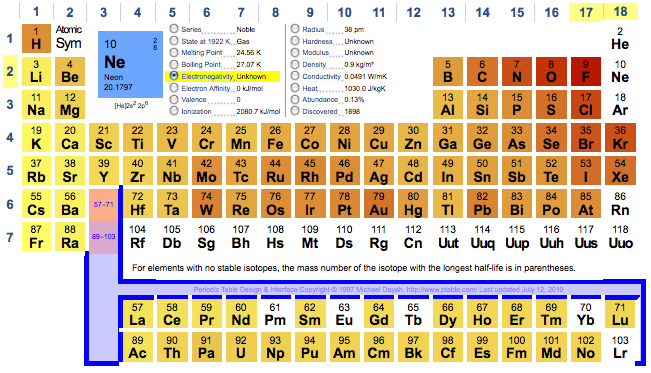 The other highlighted elements (below) had also not yet been named. 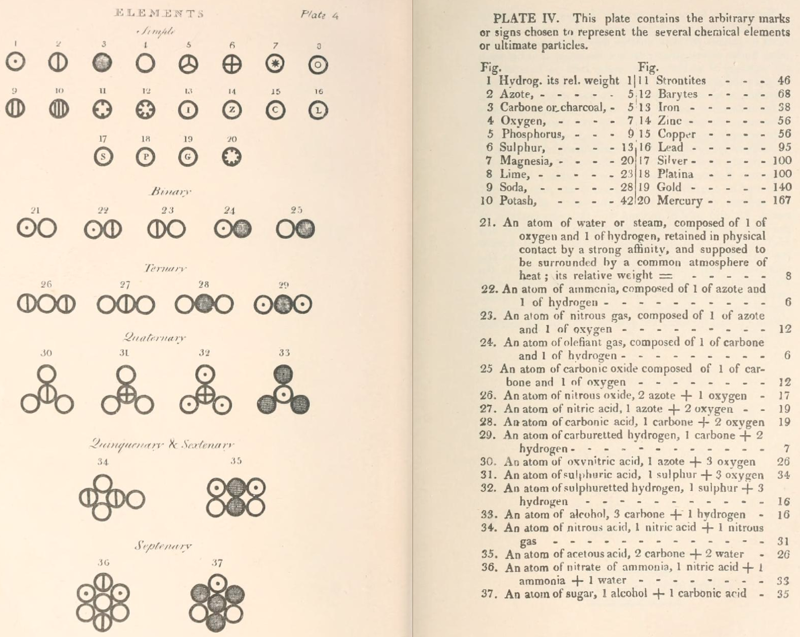 Element 43 had been discovered 9 years earlier but had not been given an official name because there was reluctance to consider synthetic elements on the same footing as naturally occurring ones. This changed as a result of Paneth's article. For more information see Eric Scerri's, A Tale of Seven Elements, OUP, 2013. 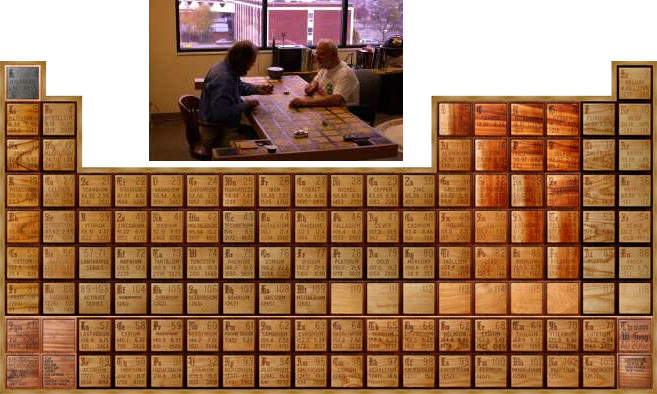 Theodore Gray's Wooden Periodic Table Table  a wooden table that incorporates a periodic table  is a treasure trove, both on the web and in reality (his office). The web site contains over 12 gig of data and beautiful images. Explore! Theo's new site is periodictable.com. 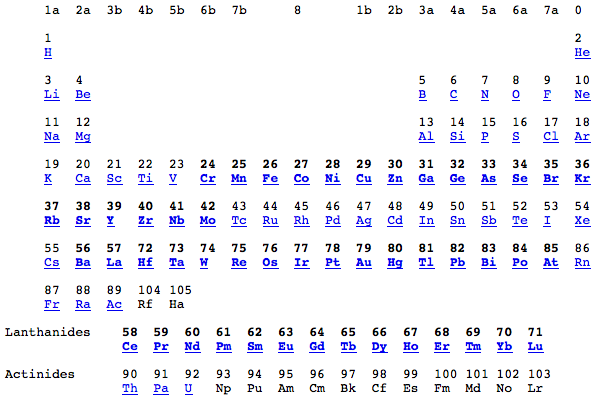 Periodic Table X is a periodic table for the Macintosh. 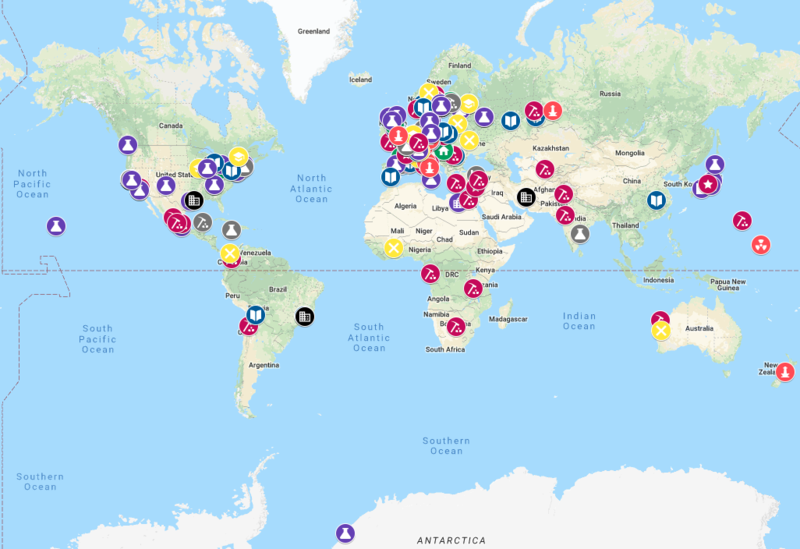 An interactive, searchable Google map of places associated with the developers of the periodic table and with the chemical elements with links to further information brought to you by Carmen Giunta and James Marshall, with the encouragement of the ACS Division of the History of Chemistry (HIST), to mark the International Year of the Periodic Table (IYPT). 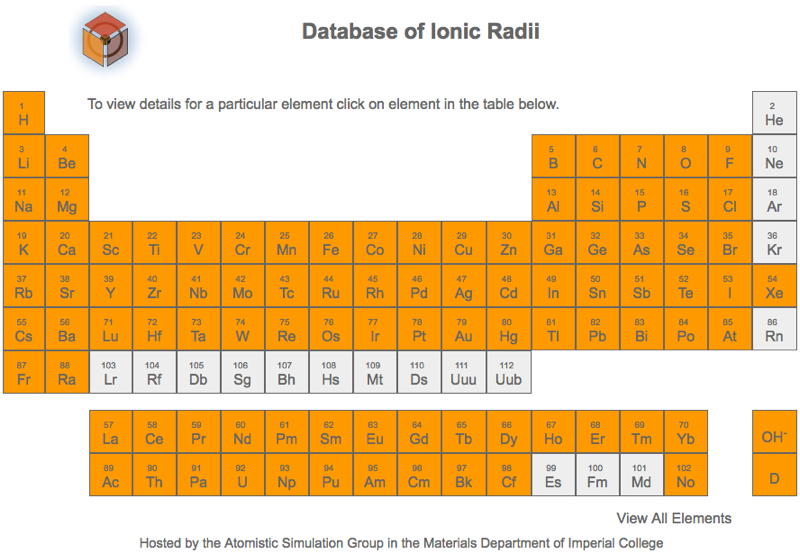 This is an interactive searchable map of places associated with the developers of the periodic table and with the chemical elements with links to further information. 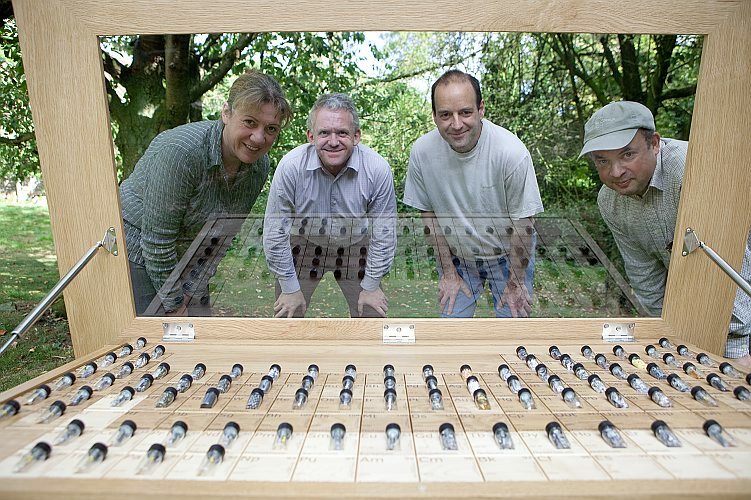 From the RSC Website: "Alchemists are often described as the first chemists. 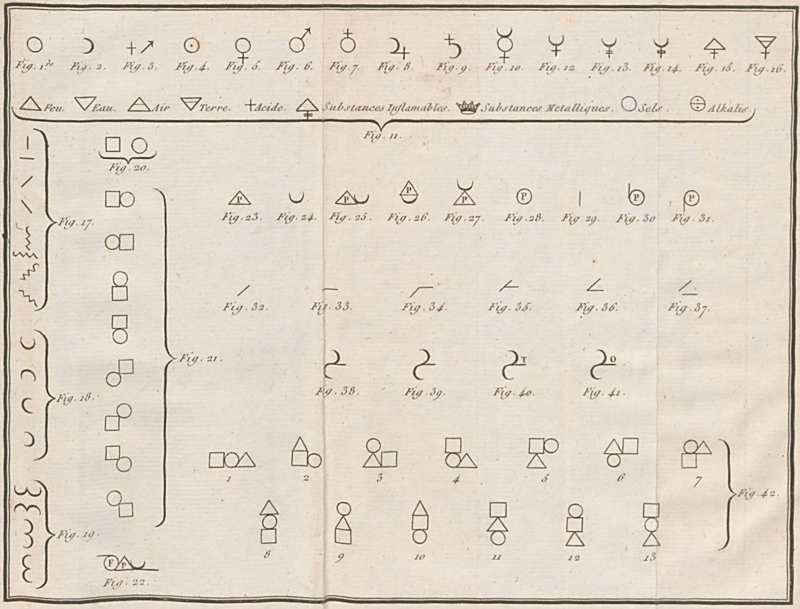 They developed an extraordinary language (rather than the chemical symbols we use today) to describe all manner of things, from chemical reactions to philosophical tenets. Click on ‘What is Alchemy?’ to learn about the three aims of the alchemists. 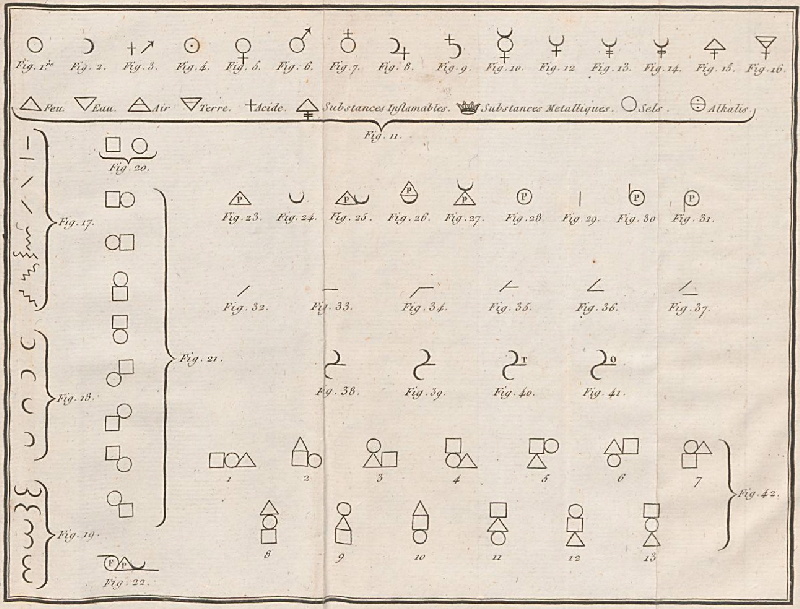 Click on each of the alchemical symbols for more information and to see alternative symbols." 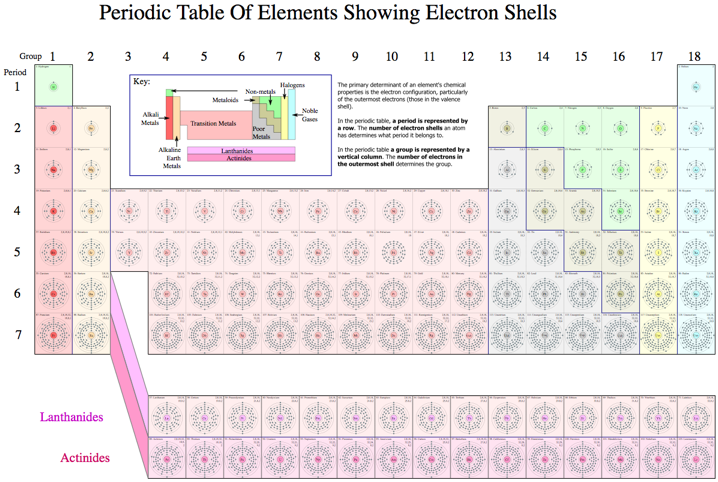 Abstract: Most periodic tables of the chemical elements are between 96% and 100% in accord with quantum mechanics. Three elements only do not fit correctly into the official tables, in disagreement with the spherical harmonics and the Pauli exclusion principle. Helium, belonging to the s-block, should be placed beside hydrogen in the s-block instead of the p-block. 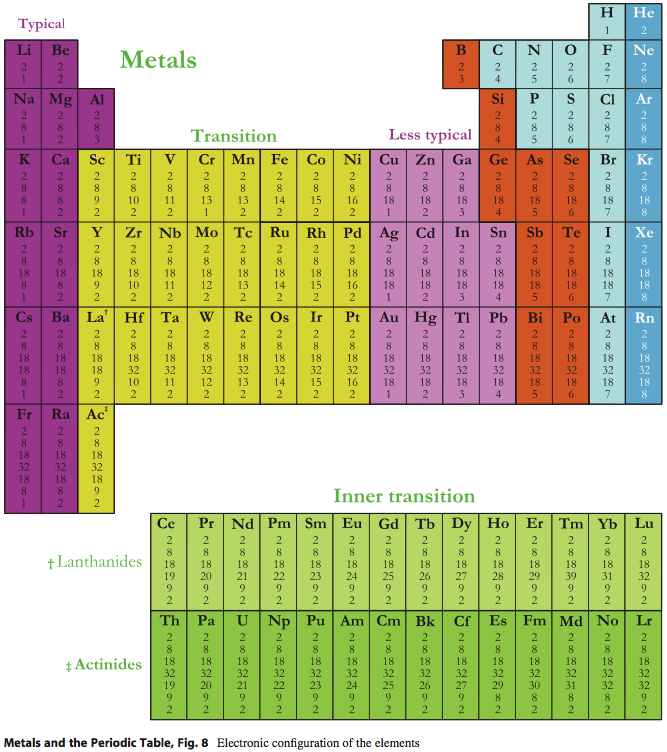 Lutetium and lawrencium belonging to the d-block of the transition metals should not be in the f-block of the lanthanides or the actinoids. 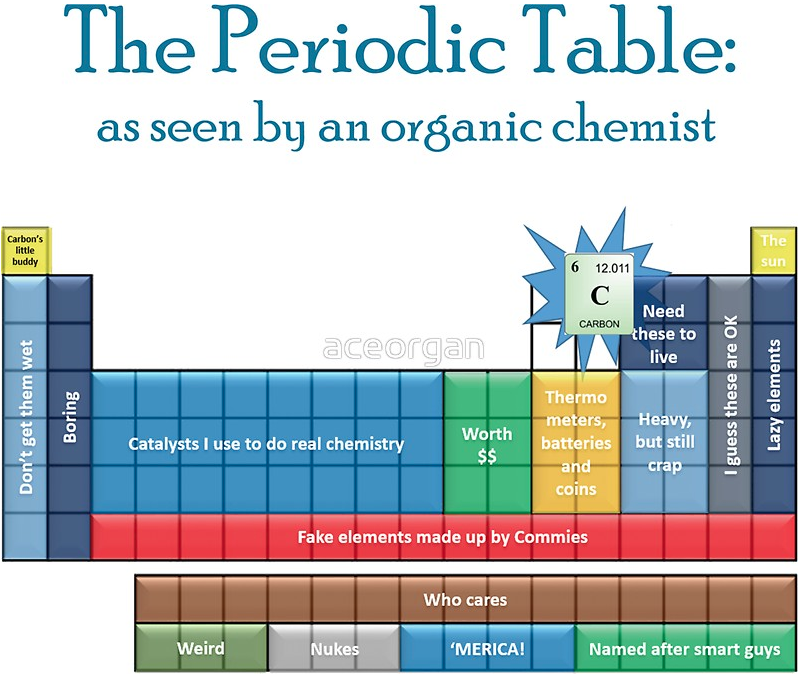 With these slight modifications, the IUPAC table becomes quantum mechanics consistent. 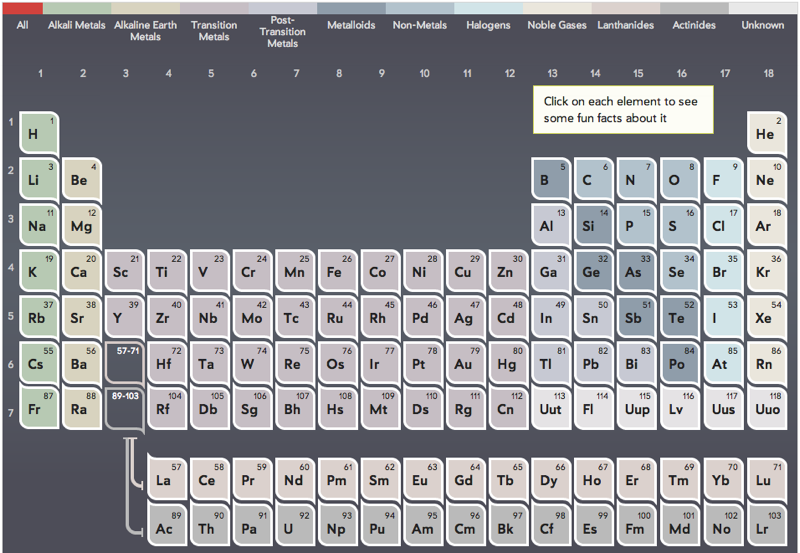 From Scientific American, The Elements Revealed: An Interactive Periodic Table. 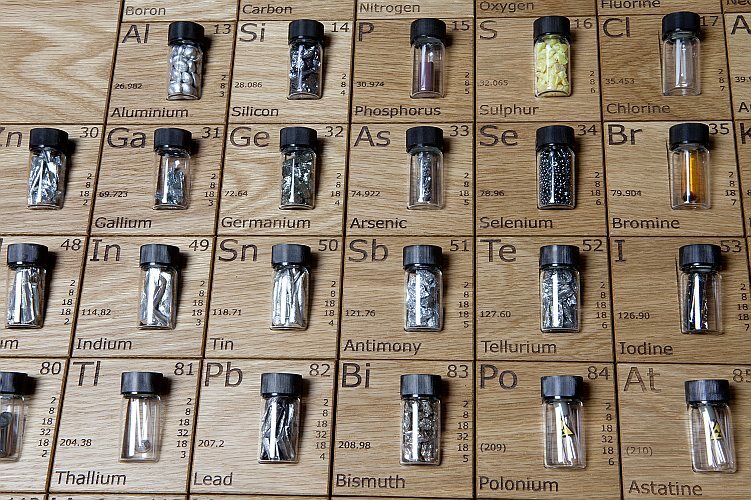 Smart Elements, at smart-elements.com, is a company selling physical samples of chemical elements for research, education & collection. 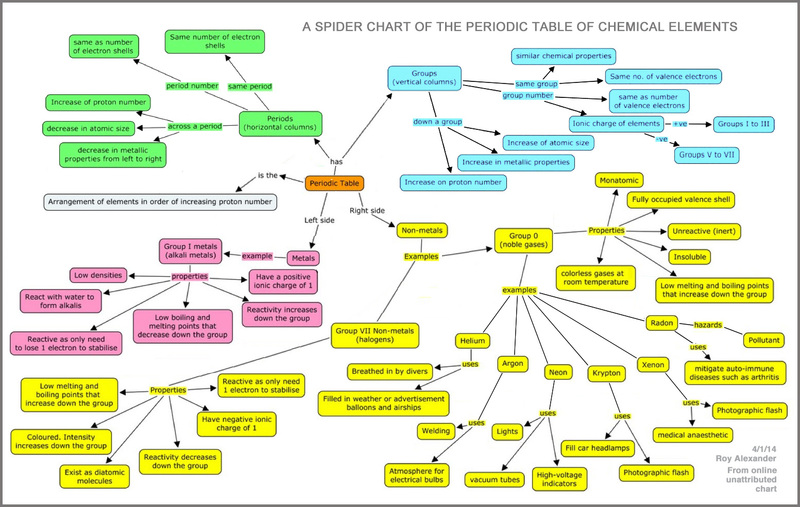 A Spider Chart linking together various ideas about the Periodic Table of the Chemical Elements by Roy Alexander (of Alexander Arrangement fame). 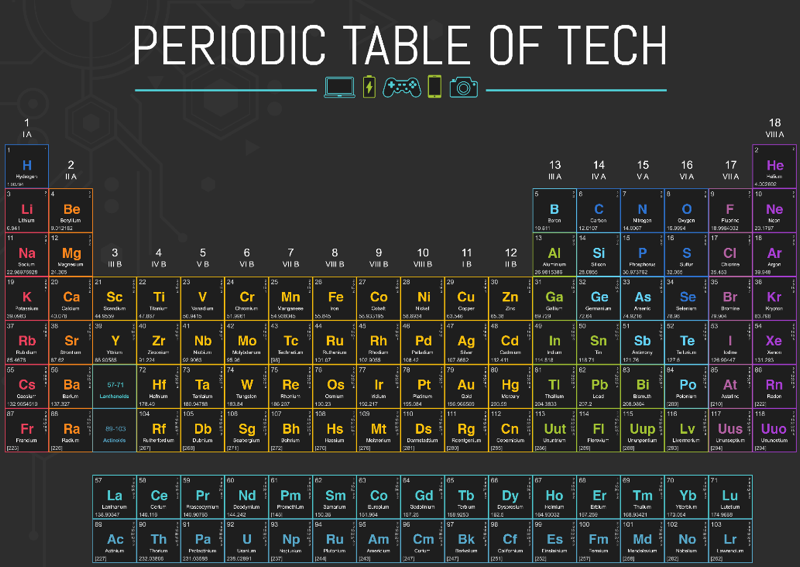 From STEM Sheets – where "STEM" stands for Science, Technology Engineering & Maths – a customizable and printable periodic table. 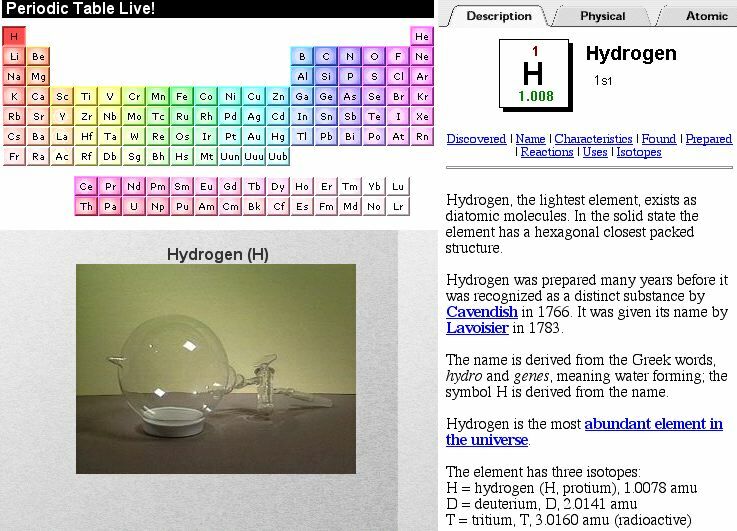 Students are expected to know that in all equations hydrogen is molecular should [nearly always] be written as H2. Likewise, nitrogen is N2, oxygen O2, fluorine F2, chlorine Cl2, bromine Br2 and iodine I2. 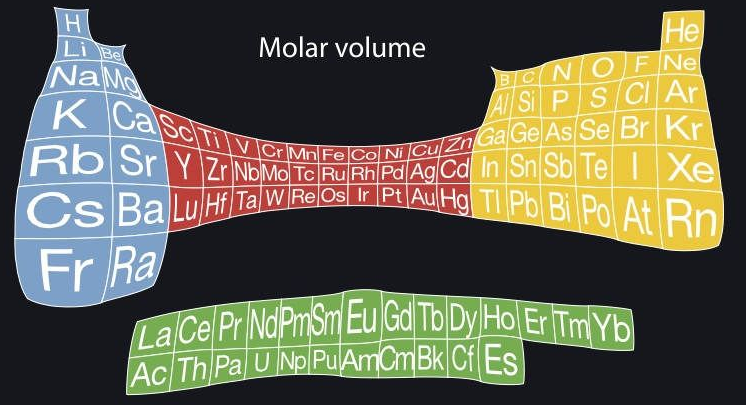 But somehow students are expected to know that molecular sulfur, S8, should be written as S and molecular phosphorus, P4, should be written as P.
Extended Average Level (EAL) Dirac–Fock calculations on atoms and ions agree with earlier work in that a rough shell-filling order for the elements. 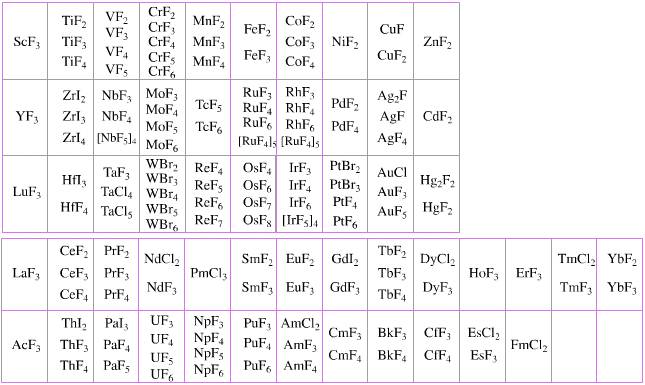 A periodic table showing which elements become superconducting at low temperature. Scientists from Moscow Institute of Physics and Technology and Skoltech have demonstrated the high-temperature superconductivity of actinium hydrides and discovered a general principle for calculating the superconductivity of hydrides based on the periodic table alone. The results of their study were published in The Journal of Physical Chemistry Letters. Too much sugar can be detrimental to health, rotting teeth, building fat, damaging blood vessels and stressing out the system that regulates blood sugar. Some people turn to artificial sweeteners, but those are under increasing suspicion of creating metabolic problems, such as diabetes and obesity. Natural alternative sweeteners exist, but even they have pitfalls if consumed in excess. 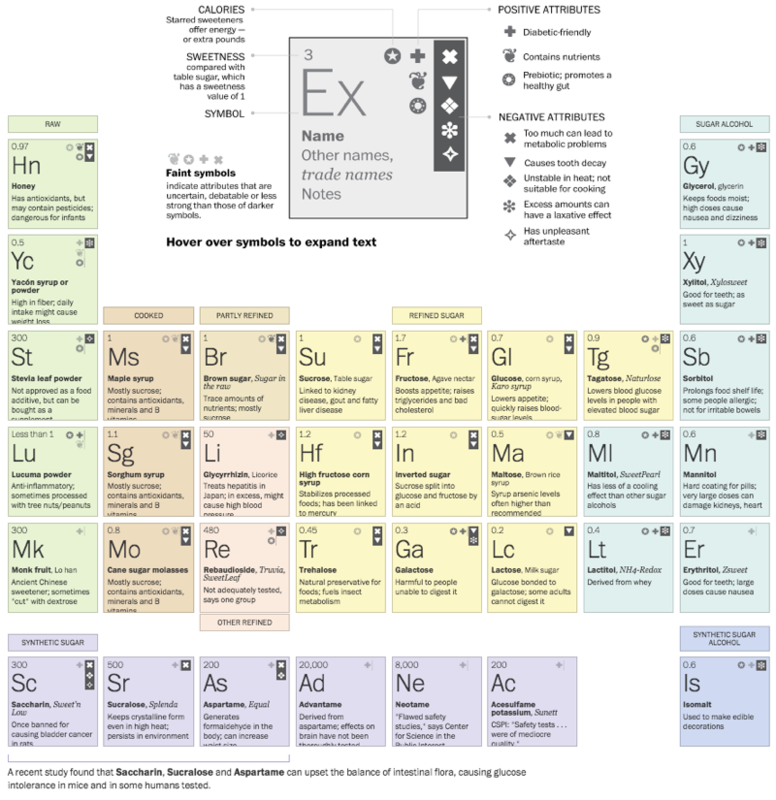 This sweetners periodic table below, click to enbiggen, charts the wide variety of sweeteners available in the United States, either in bulk amounts or as additives in food. Not listed are super-sweet-tasting, zero-calorie proteins from several African fruits (monellin, brazzein and thaumatin), which have not been approved for use by the FDA. Also not included: banned or poisonous sweeteners, such as lead acetate, which ancient Romans made by cooking sour wine in lead pots. 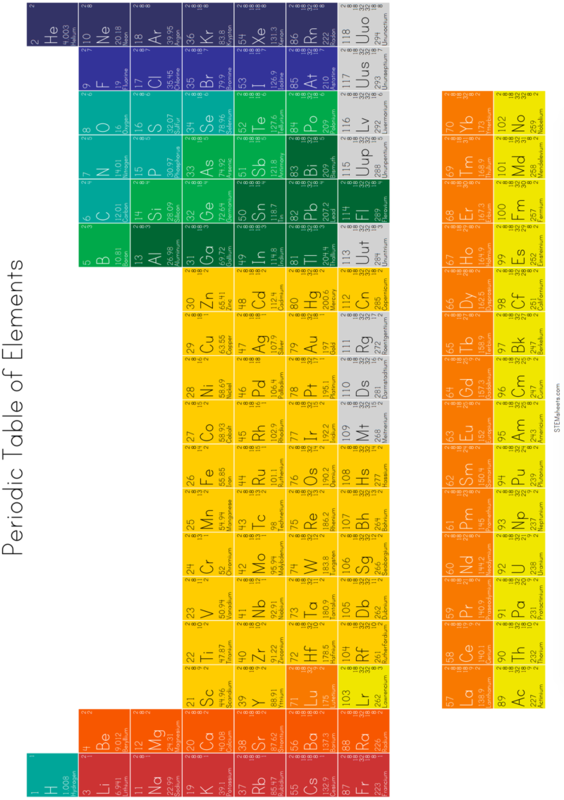 By Steven Murov, a chronology of the events that have resulted in our present periodic table of the elements and a celebration of the 150th anniversary of the Mendeleev (birthday, 02/08/1834) periodic table (1869). Recursively, the Murov website has many links to this [Chemogenesis] website. This book (PDF), by Albert Khazan, represents a result of many-year theoretical research, which manifested hyperbolic law in Mendeleev's Periodic Table. 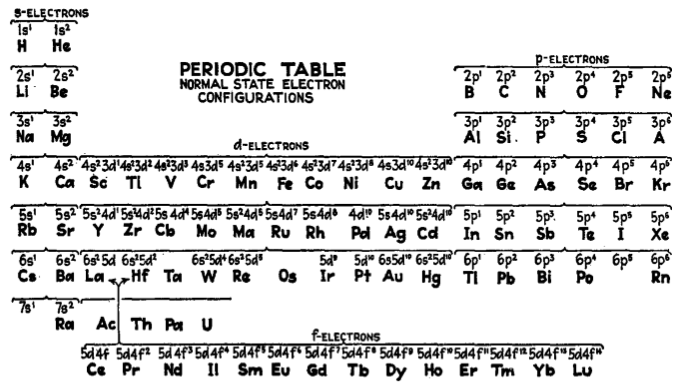 According to [Khazan's] law, an upper limit (heaviest element) exists in Mendeleev's Table, whose atomic mass is 411.66 and No.155. 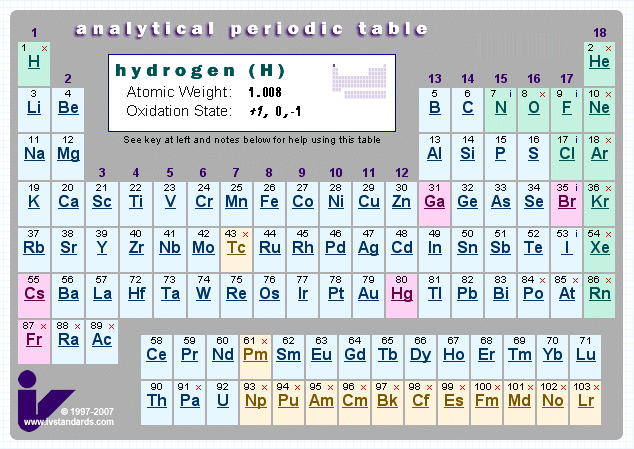 It is shown that the heaviest element No.155 can be a reference point in nuclear reactions. Due to symmetry of the hyperbolic law, the necessity of the Table of Anti-Elements, consisting of anti-substance, has been predicted. 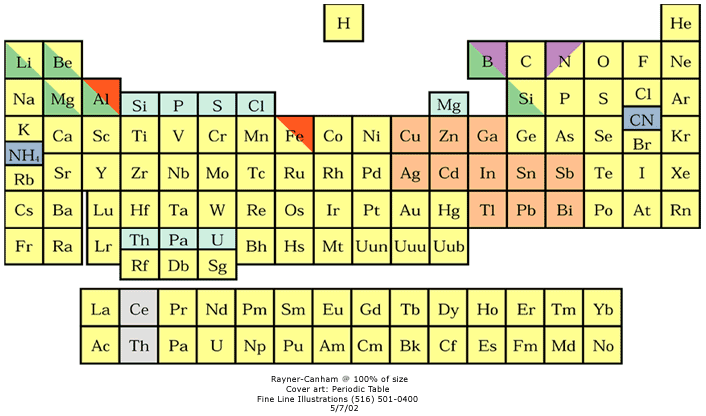 This manifests that the found hyperbolic law is universal, and the Periodic Table is common for elements and anti-elements. To celebrate the International Year of Chemistry (IYC), Chem 13 News magazine together with the University of Waterloo's Department of Chemistry and the Faculty of Science encouraged chemistry educators and enthusiasts worldwide to adopt an element and artistically interpret that element. 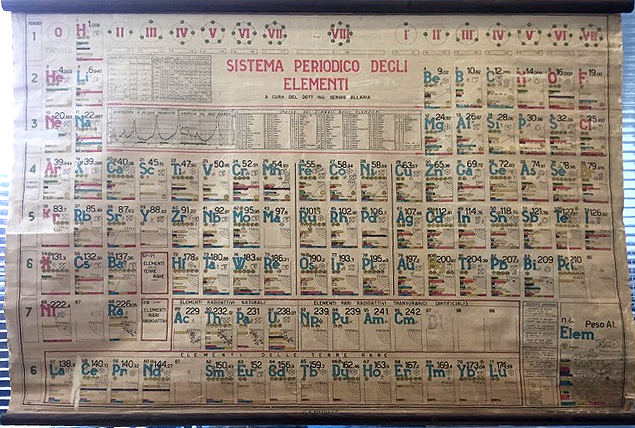 The project created a periodic table as a mosaic of science and art. Students from all Canadian provinces and territories, 20 U.S. states and 14 countries researched, created and designed the elemental tiles. We created a poster, wall mural and a mobile app. 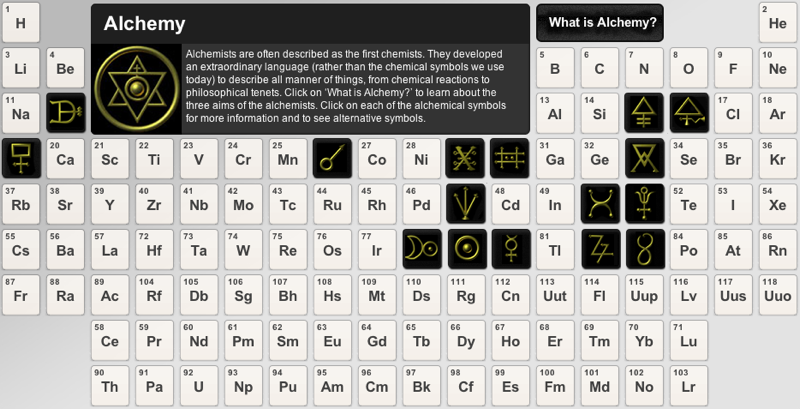 The app includes the creative process behind each tile along with basic atomic properties of the element. 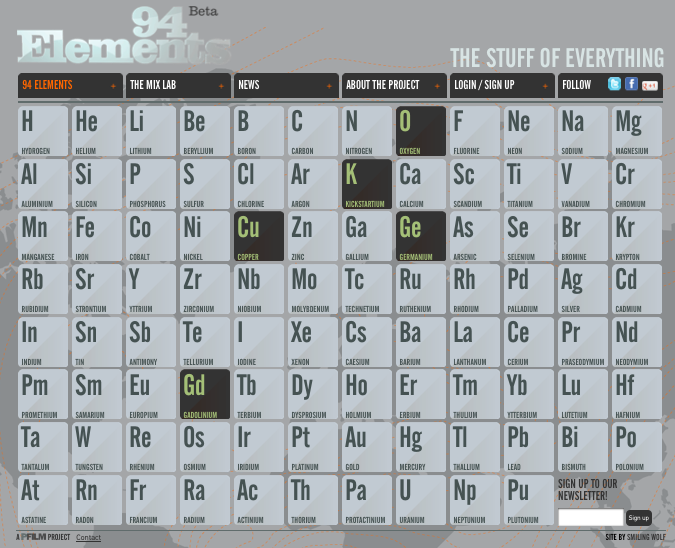 The free app work to truly highlight the artistic expression of the Periodic Table Project. 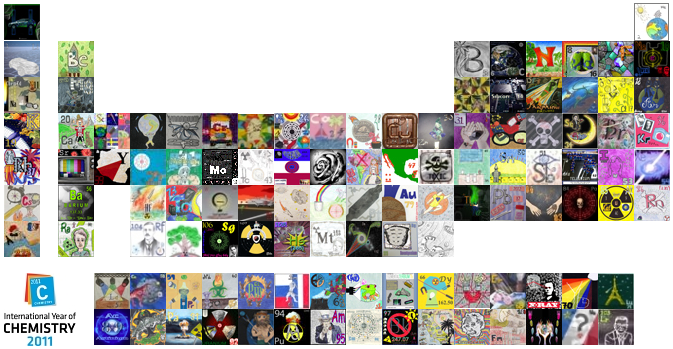 Thank you to all the teachers and students who participated in the collaborative Periodic Table Project. Read more on the University of Waterloo website. Click here image to enlarge the PT below. The hydrogen in your body, present in every molecule of water, came from the Big Bang. There are no other appreciable sources of hydrogen in the universe. The carbon in your body was made by nuclear fusion in the interior of stars, as was the oxygen. Much of the iron in your body was made during supernovas of stars that occurred long ago and far away. The gold in your jewelry was likely made from neutron stars during collisions that may have been visible as short-duration gamma-ray bursts. Elements like phosphorus and copper are present in our bodies in only small amounts but are essential to the functioning of all known life. 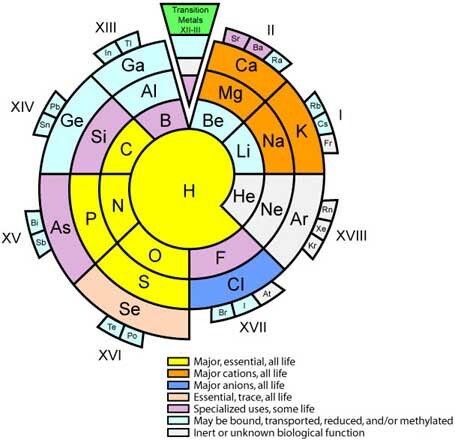 The featured periodic table, from Astronomy Picture of The Day (APOD) is color coded to indicate humanity's best guess as to the nuclear origin of all known elements. The sites of nuclear creation of some elements, such as copper, are not really well known and are continuing topics of observational and computational research. Helium is clearly associated with H, and placed above Be in accord with the s2 electron configuration of the free atom.